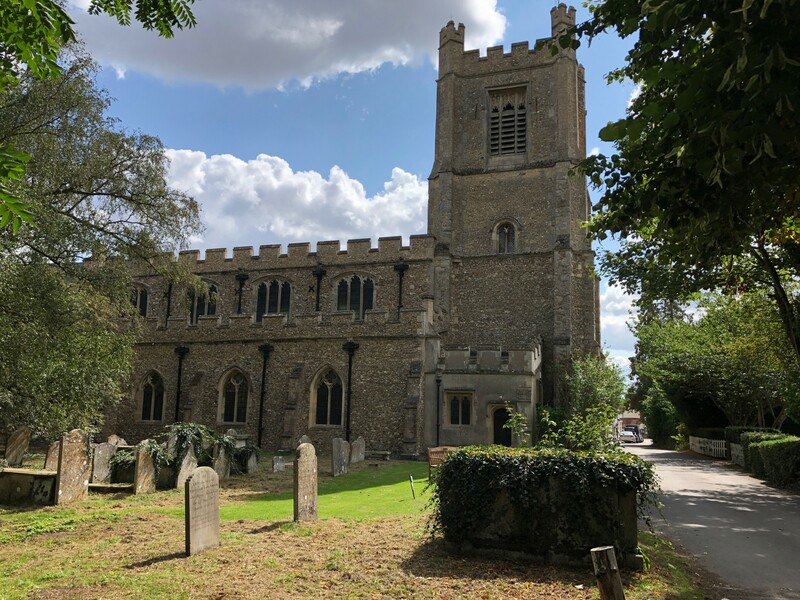 Great Dunmow, in Essex, is famous for its Flitch Trials, where married couples can win a flitch (side) of bacon if they can satisfy a jury that they have not wished themselves unmarried for a period of twelve months and a day. 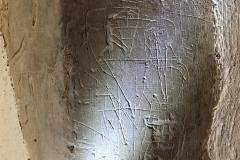 Chaucer’s Wife of Bath laments that she never won it with any of her husbands. 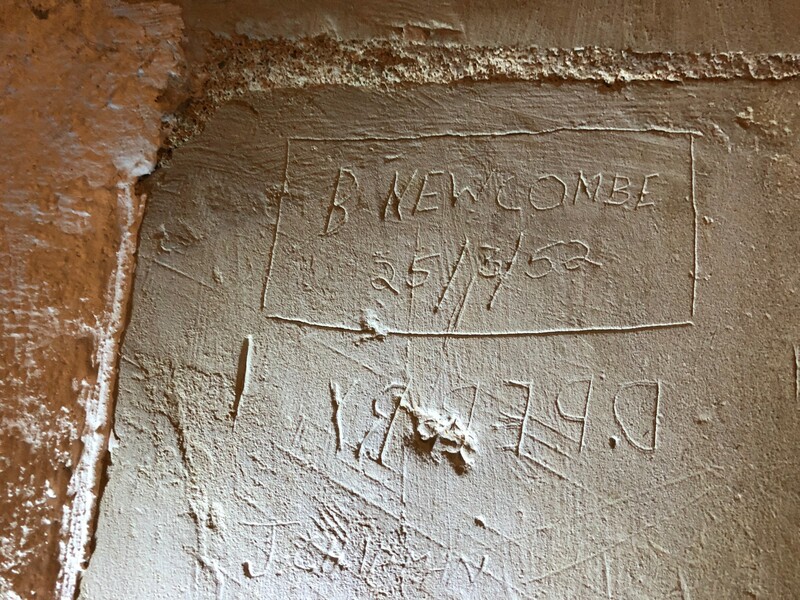 ‘The bacoun was nought fet for hem I trowe / That som men fecche in Essex an Donmowe’. 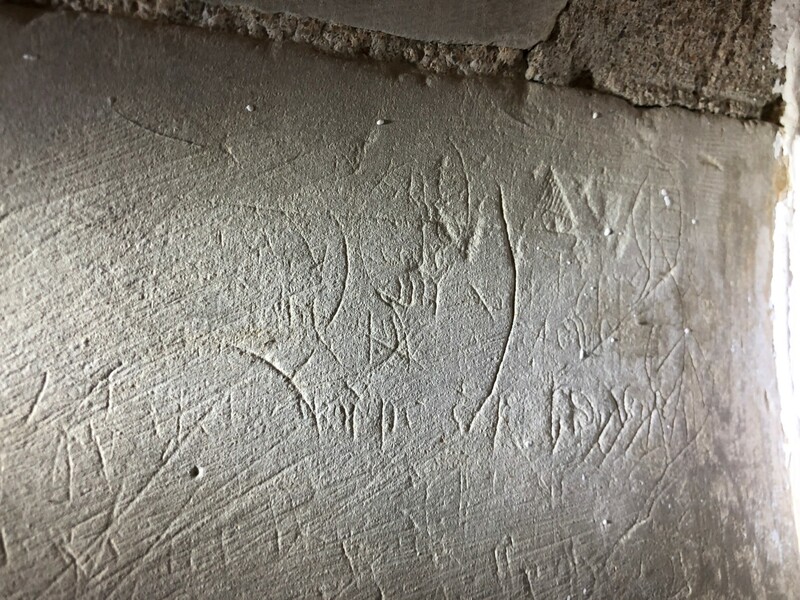 Sadly there does not seem to be any mention of this bacon on the walls of this 14th and 15th century church. 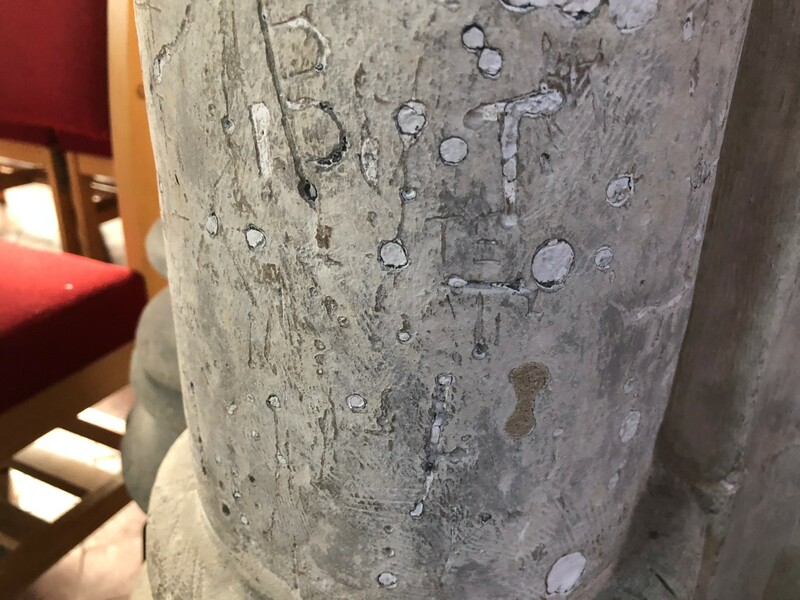 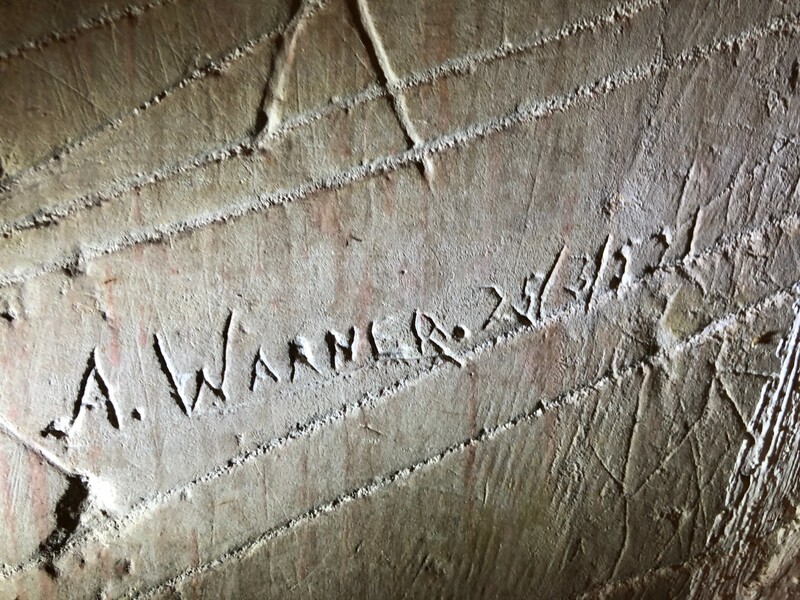 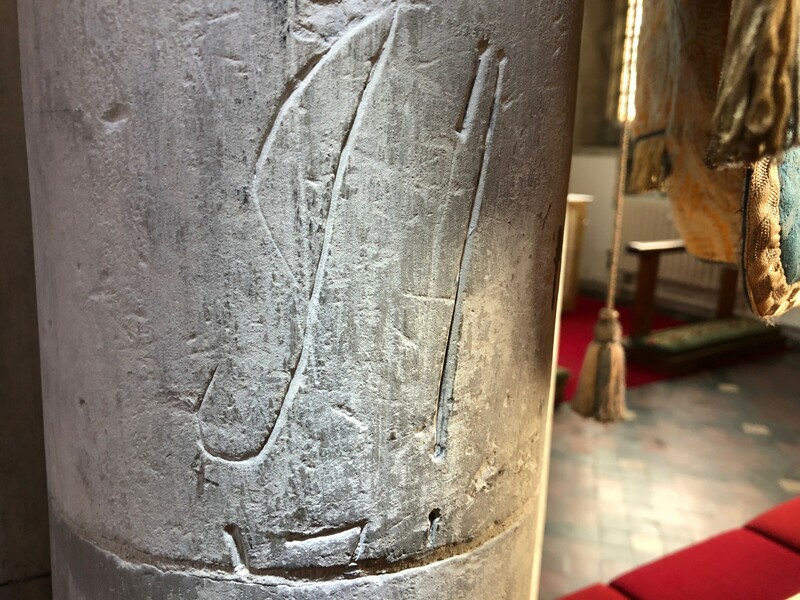 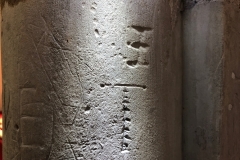 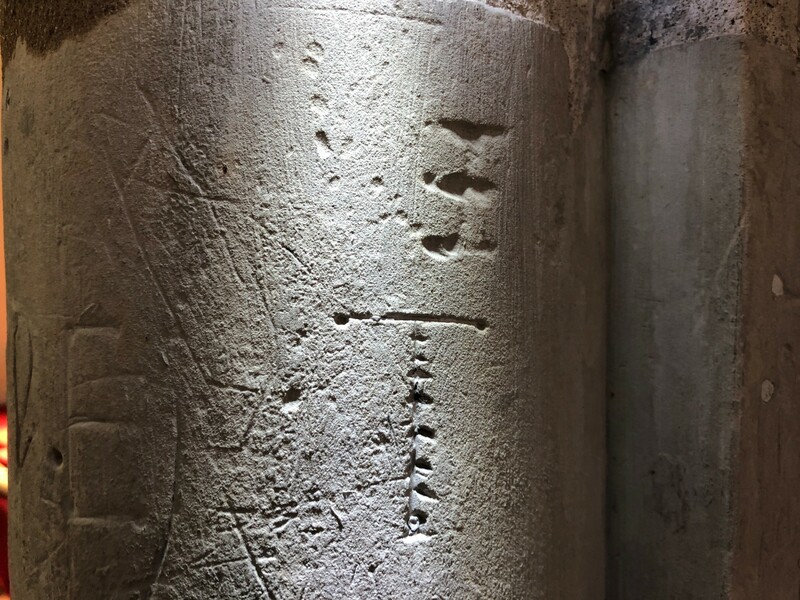 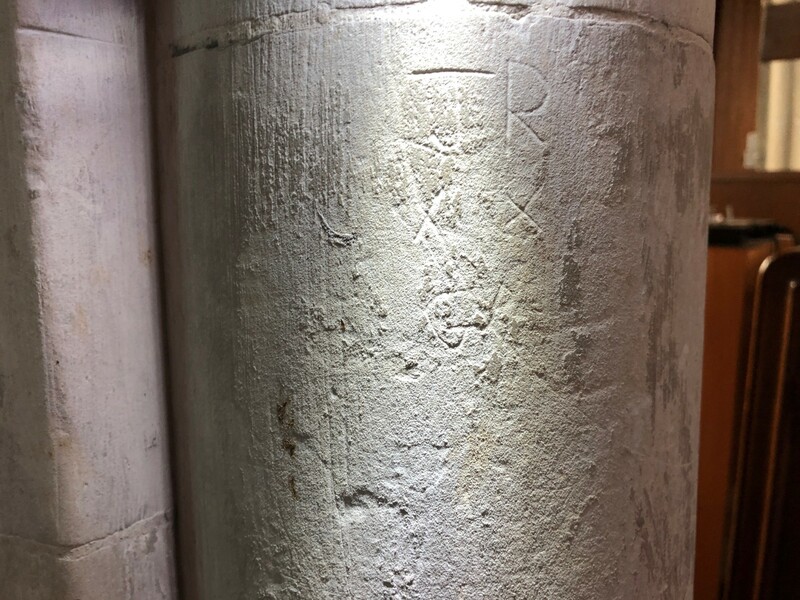 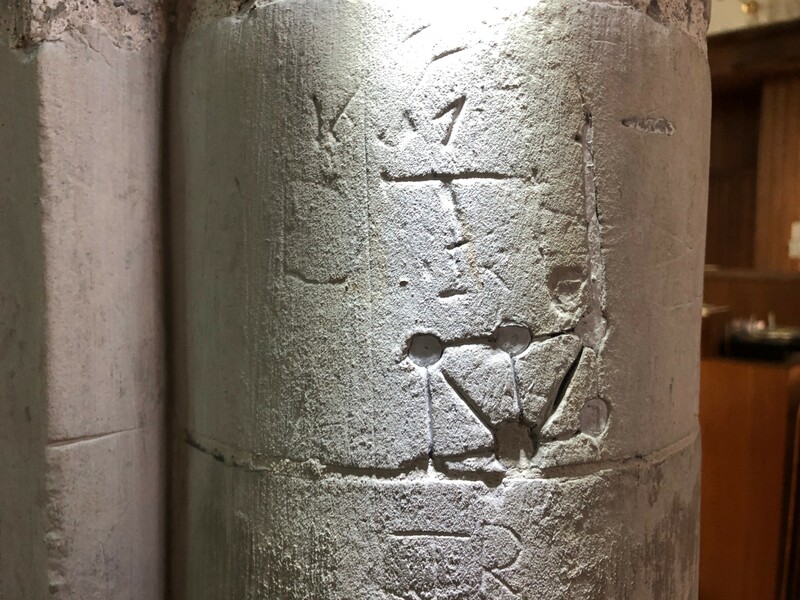 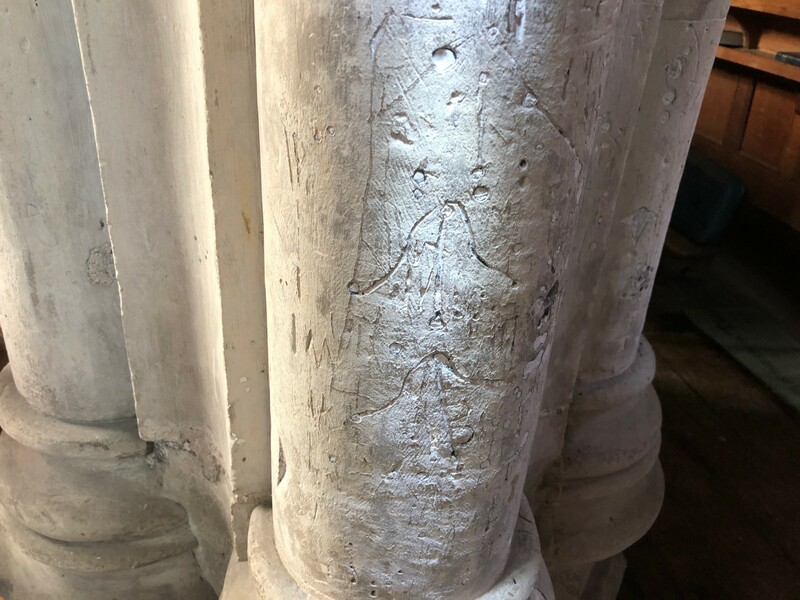 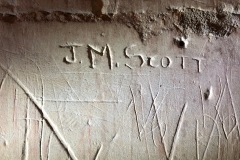 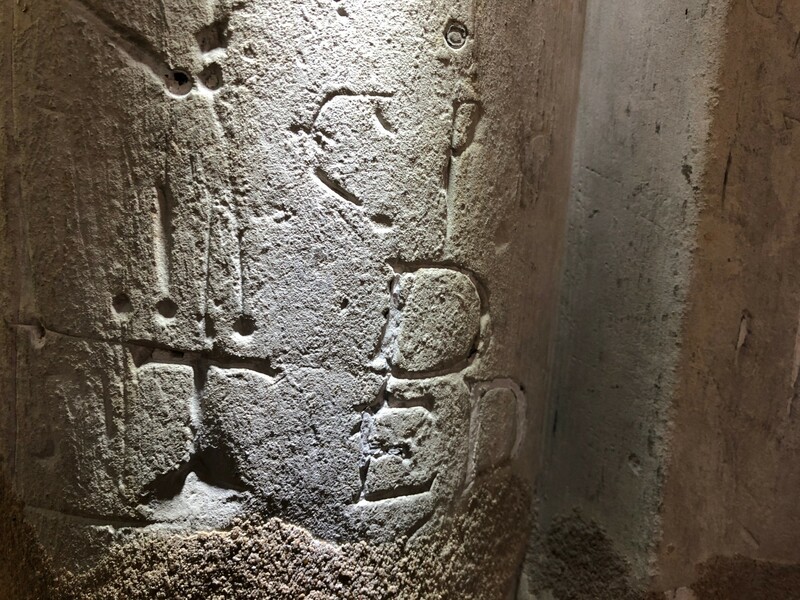 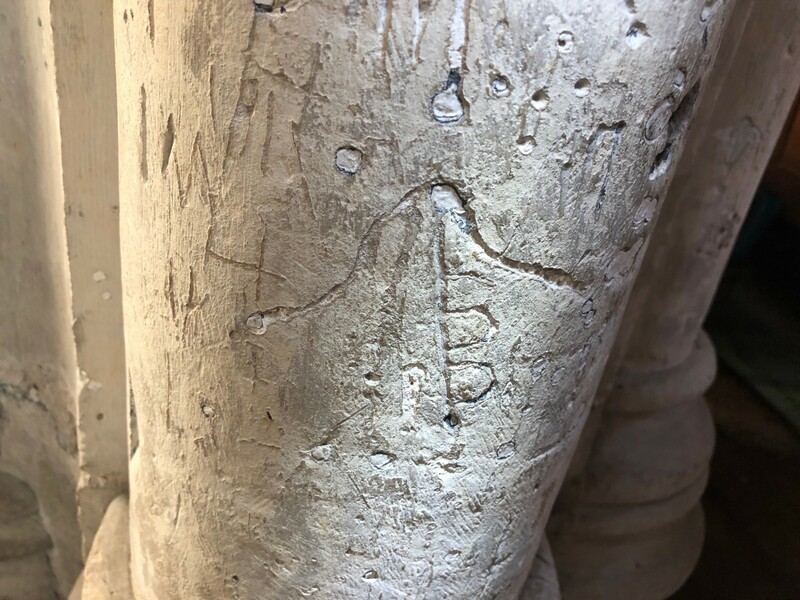 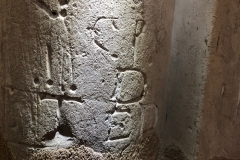 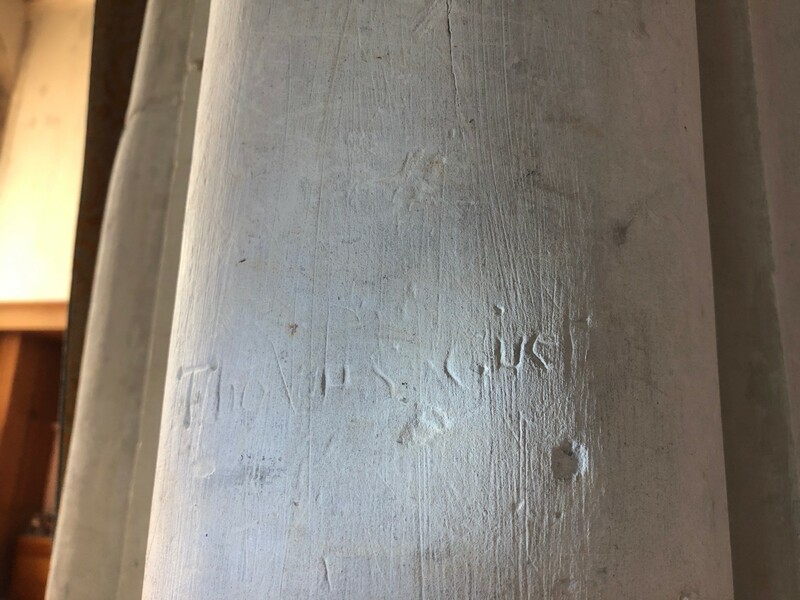 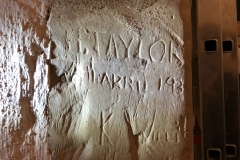 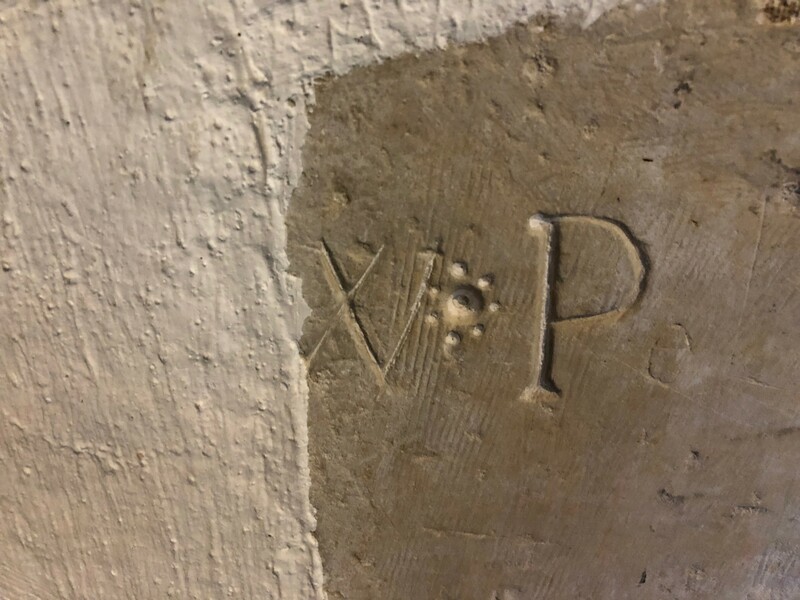 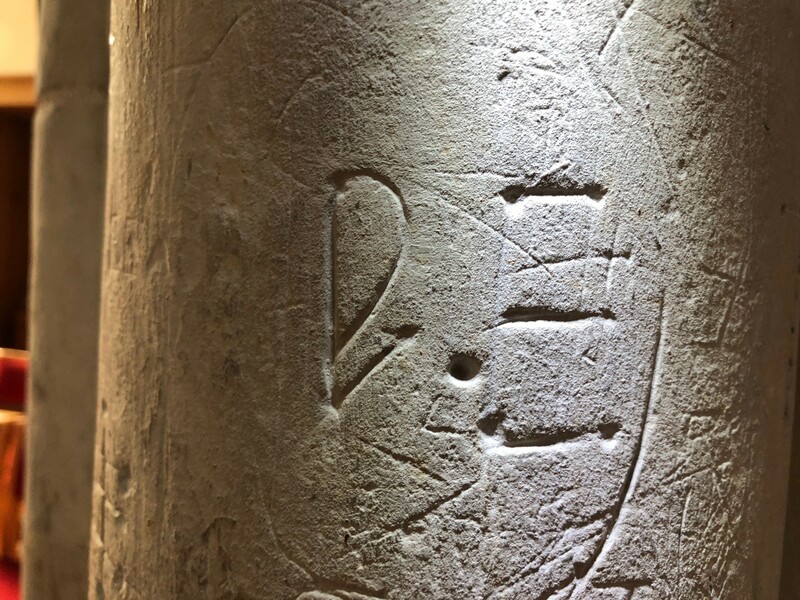 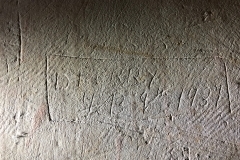 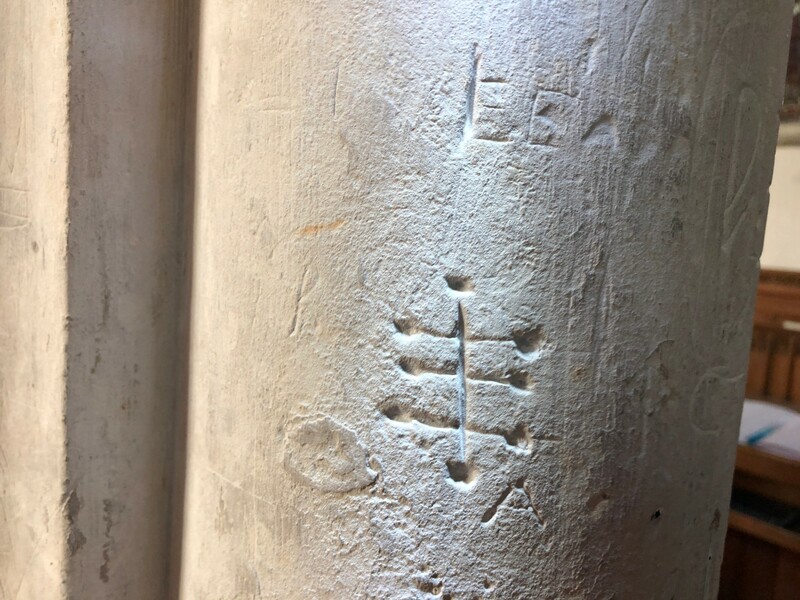 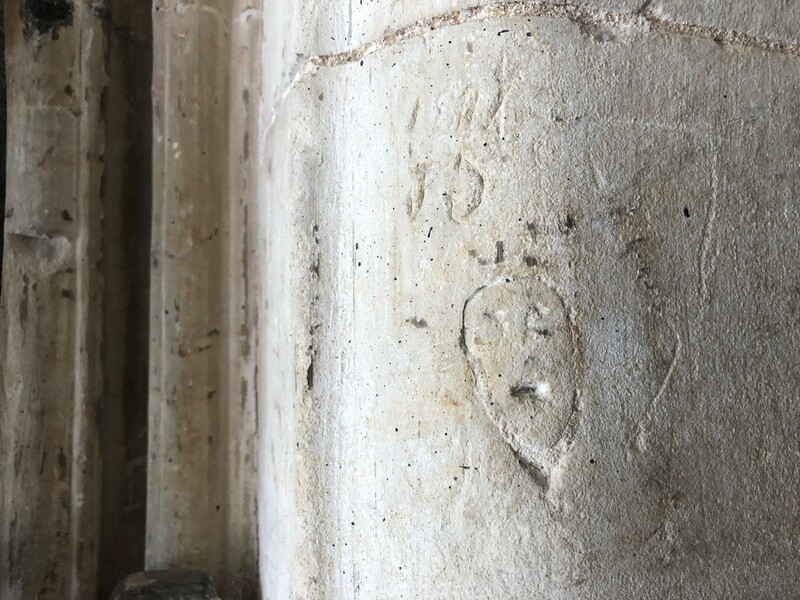 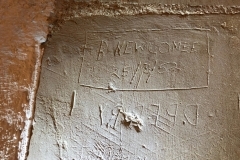 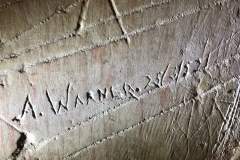 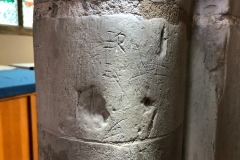 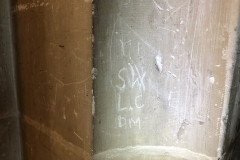 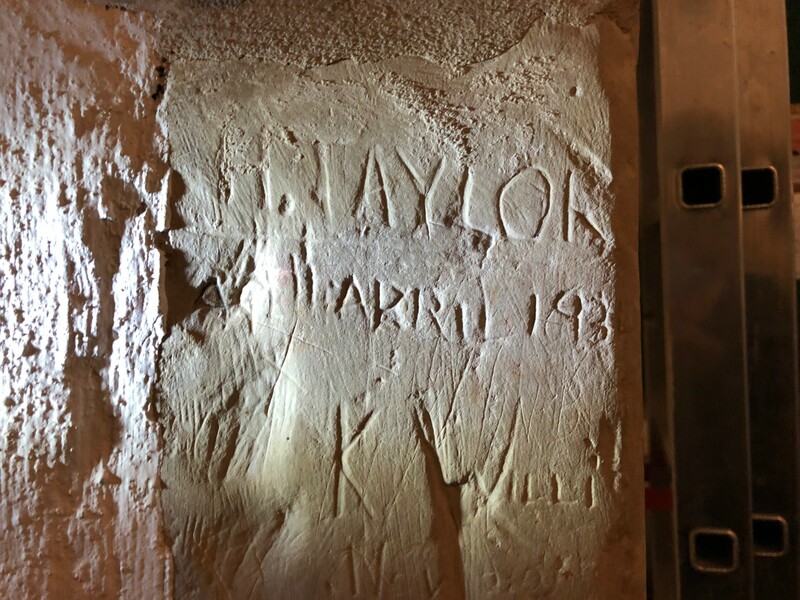 The most interesting graffiti is to be found in the chapel of St Martin of Tours at the western end of the south arcade. 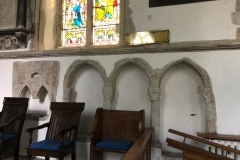 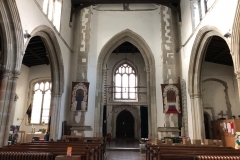 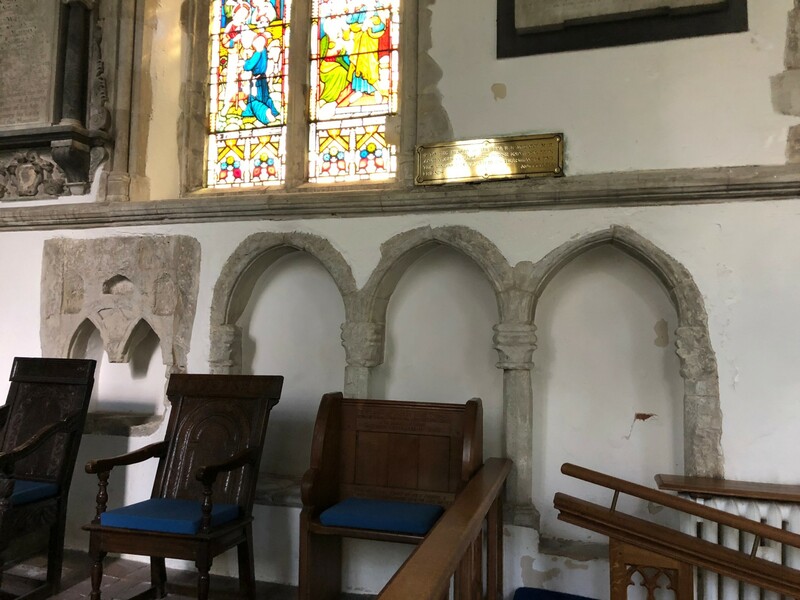 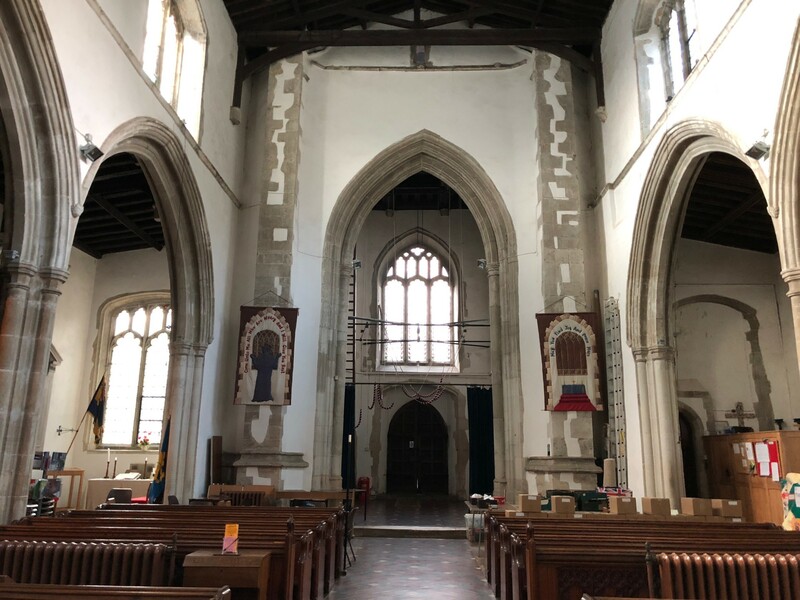 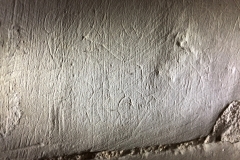 This chapel is where the war memorial is situated and it’s perhaps appropriate that a figure of a man at arms is scratched into the walls along with several heraldic shields. 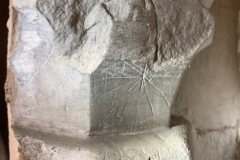 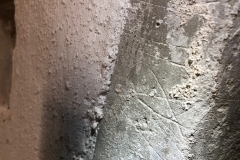 In terms of protective marks there are several merels in the south chancel window and a scattering of pentagrams and Marian marks throughout the church. 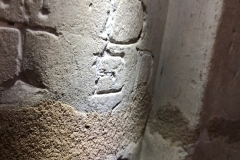 The triple sedilia in the chancel holds a deeply carved little cross and a few examples of faint script. 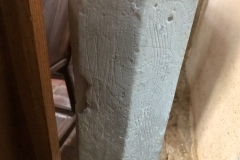 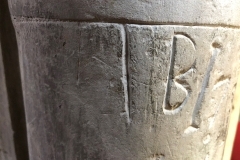 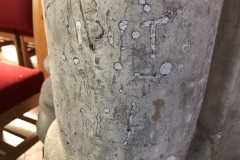 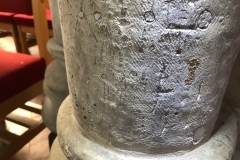 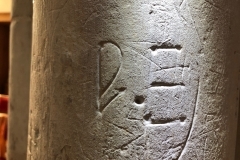 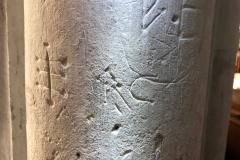 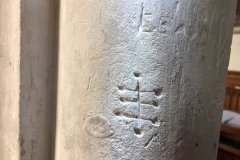 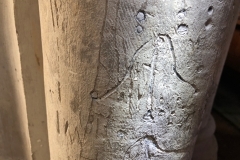 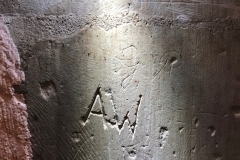 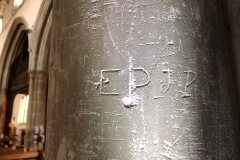 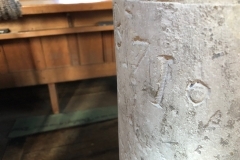 The aisle column in the south chapel is a palimpset of several deeply carved graffiti. 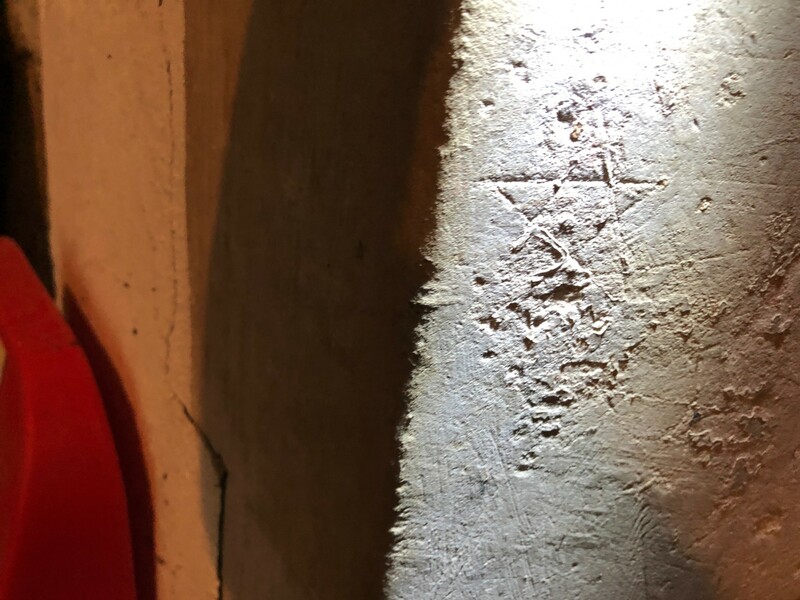 There are two mysterious symbols there. 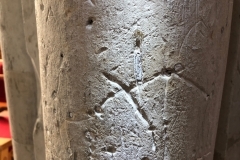 One of them, a line with 3 crossing lines, appears in the Sefer Raziel HaMalakh grimoire. 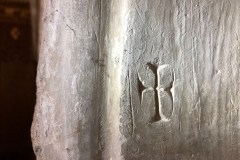 This may mean that it had a magical significance for the person who carved it. 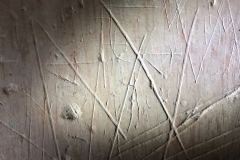 There is another repeated symbol of a curved line above with a vertical line under it. 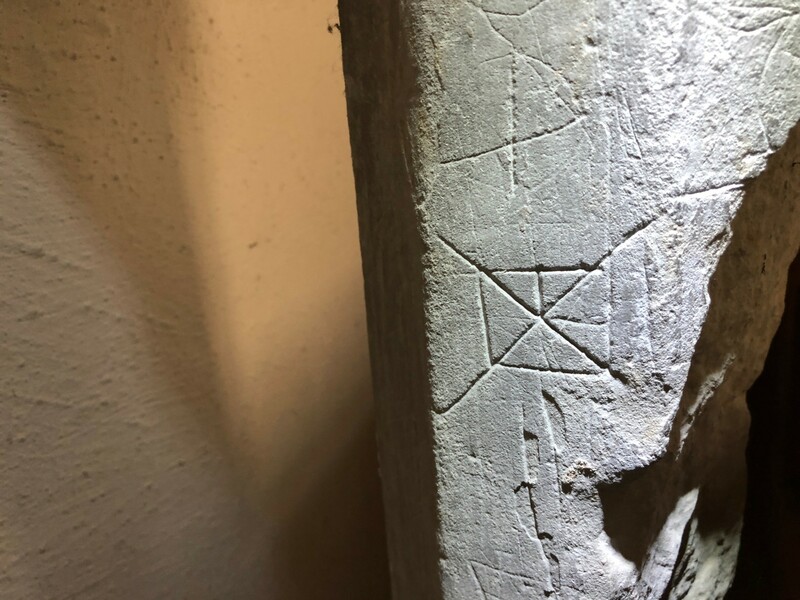 I have never seen this symbol before and further research is needed to see if it also has some meaning to its appearance here. 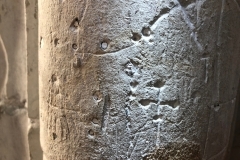 The column also carries dot patterns and crosses with dot terminals. 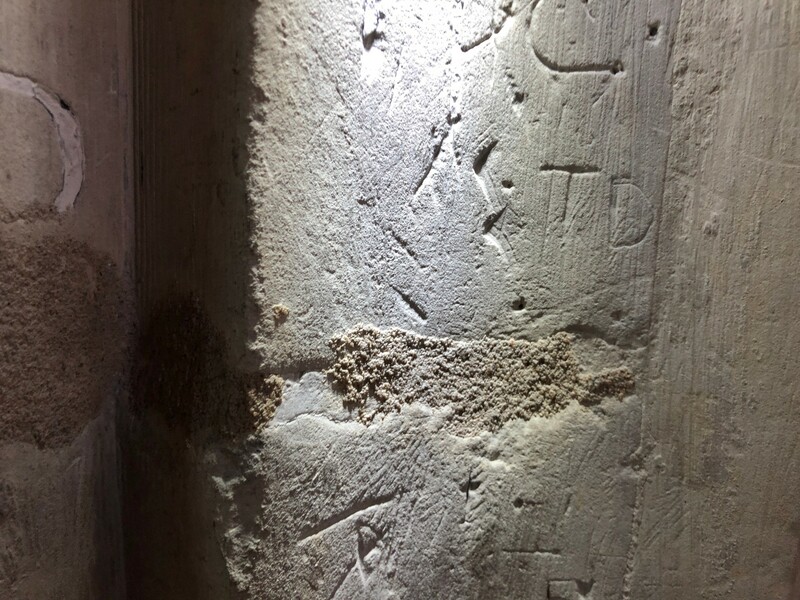 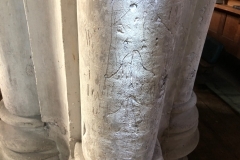 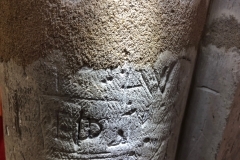 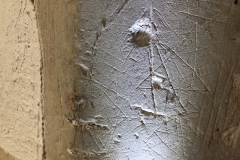 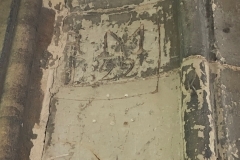 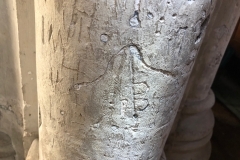 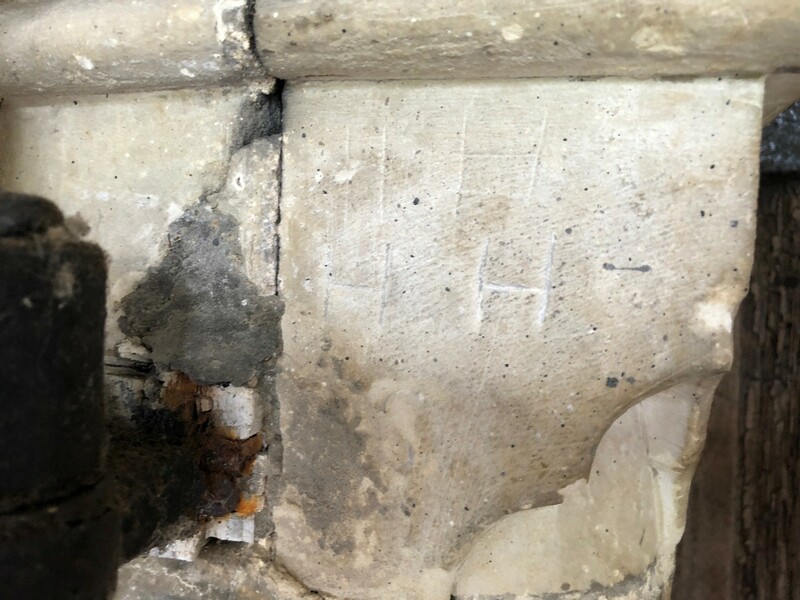 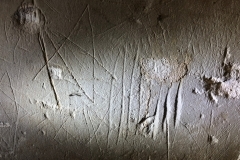 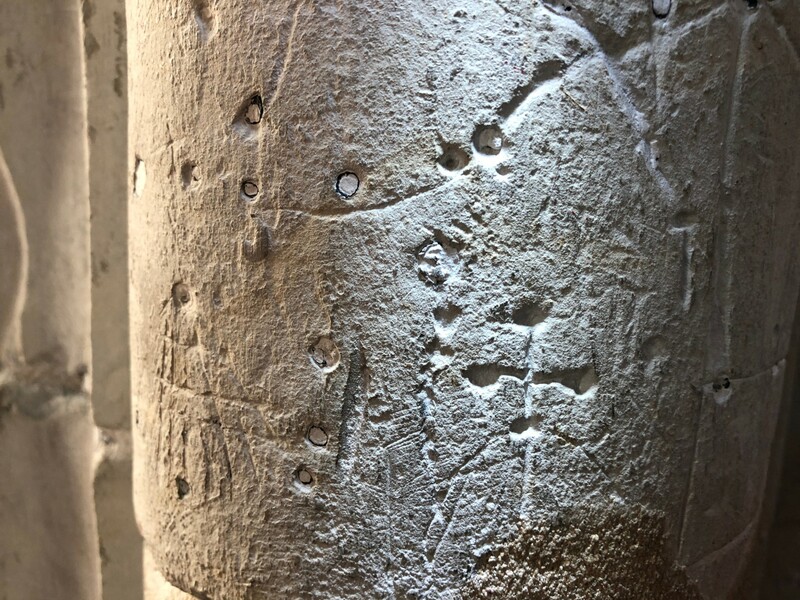 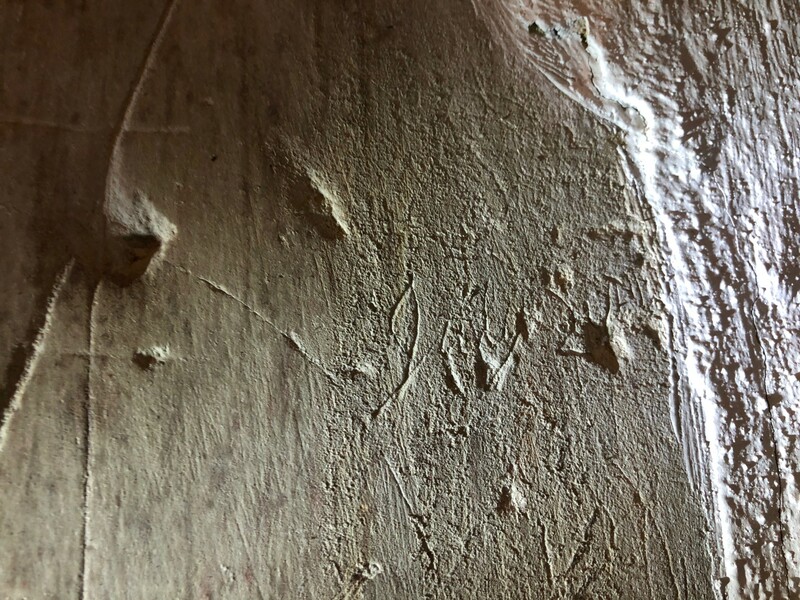 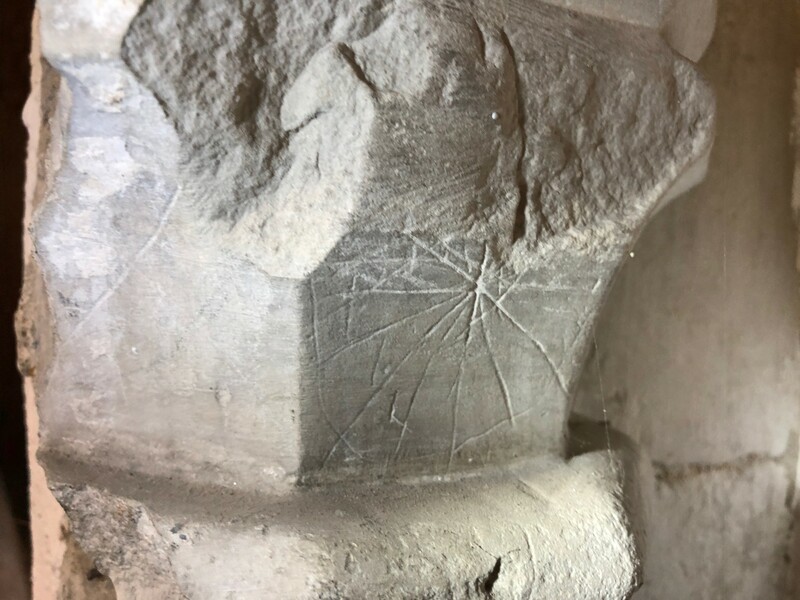 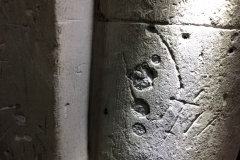 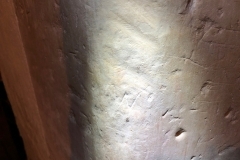 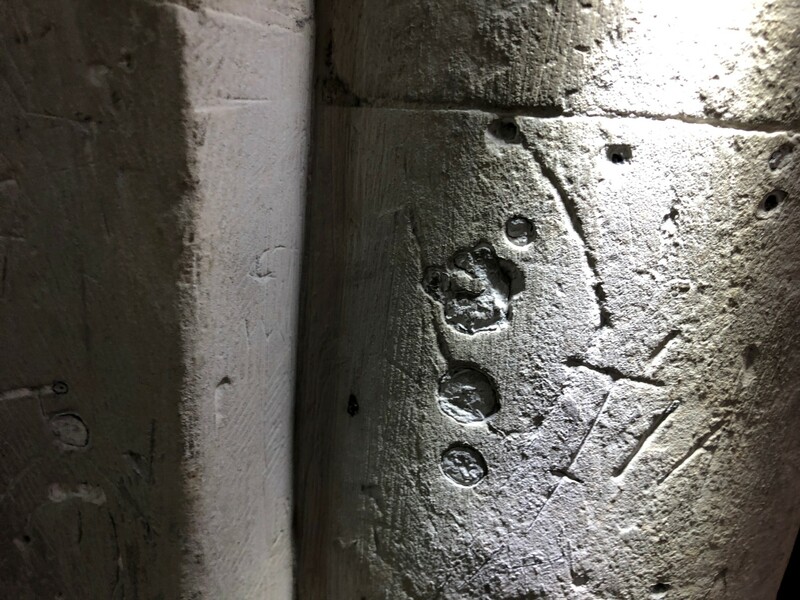 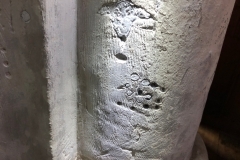 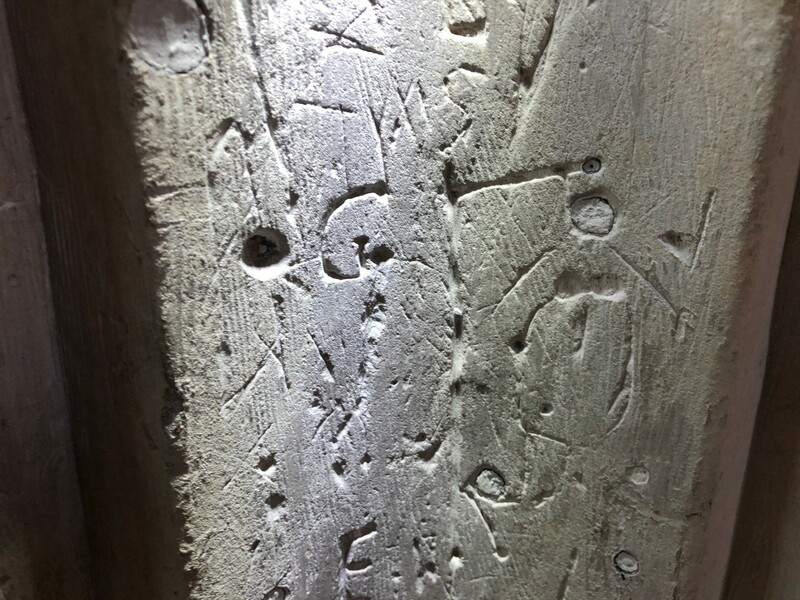 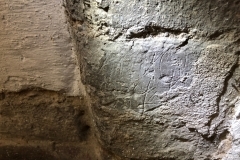 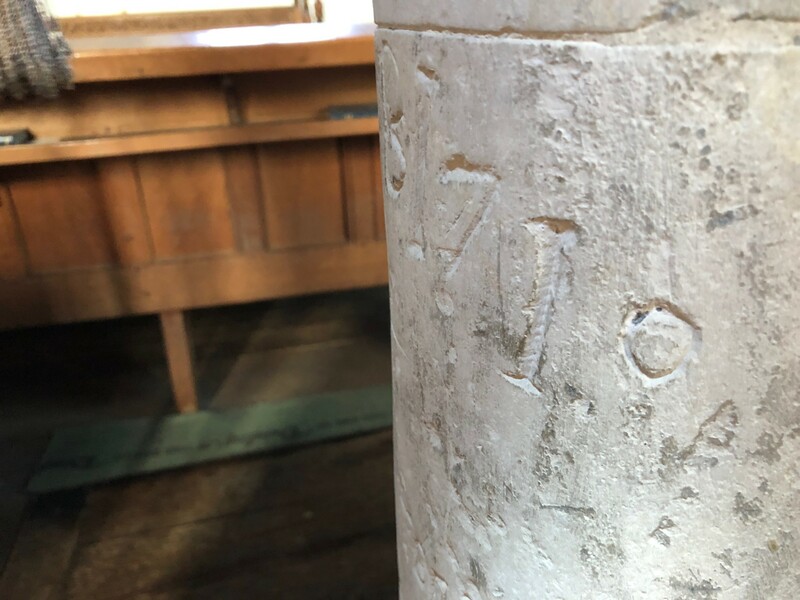 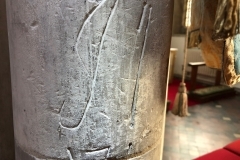 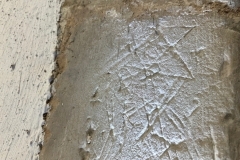 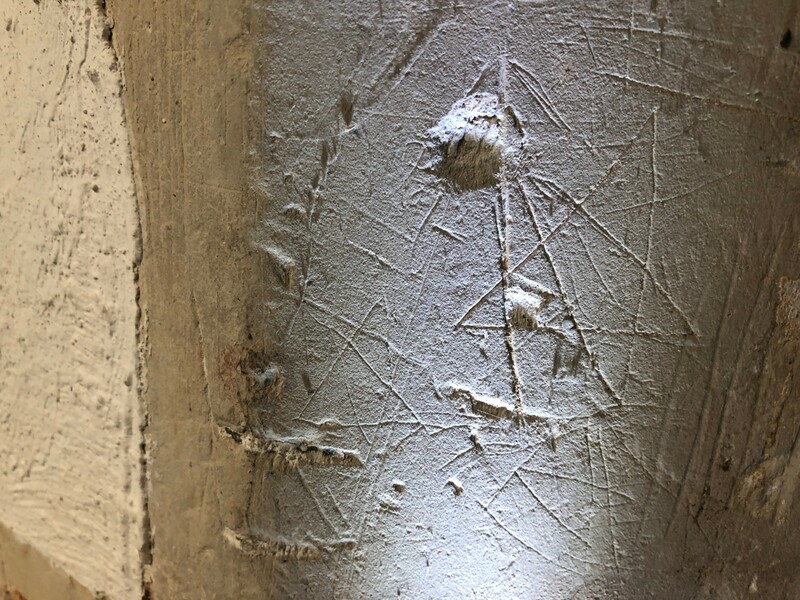 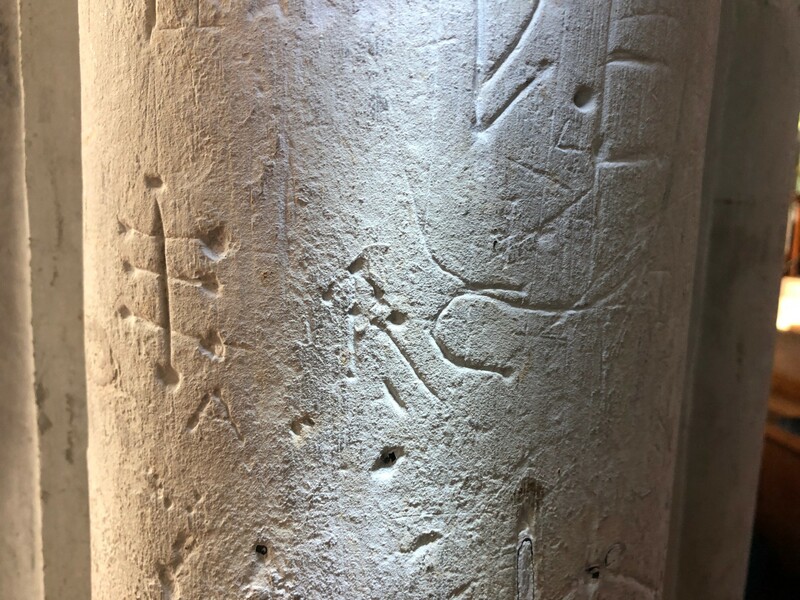 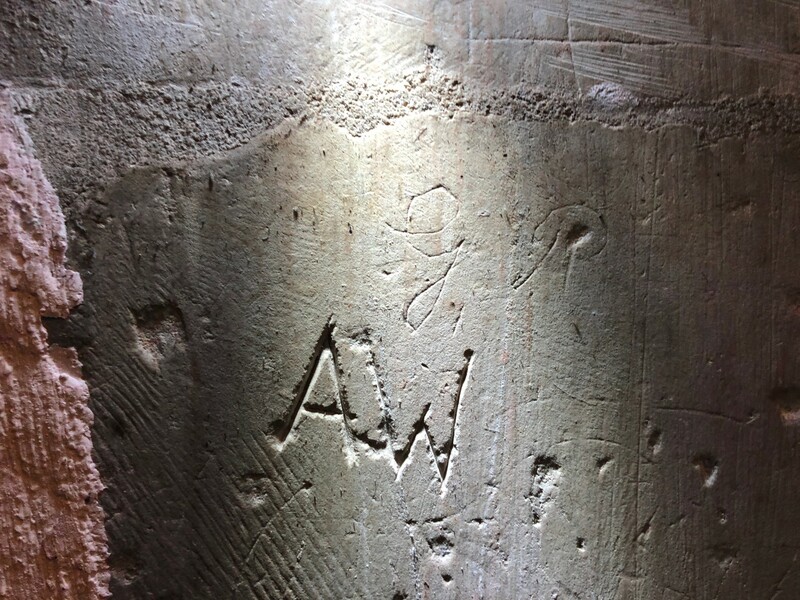 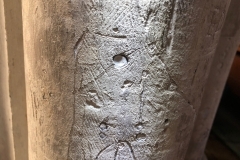 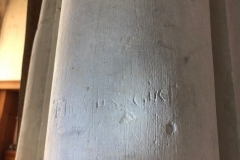 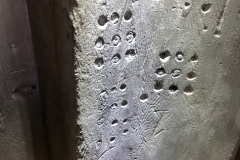 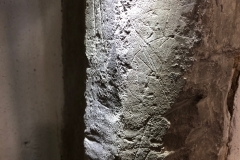 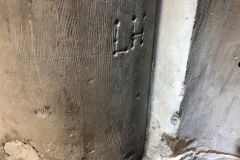 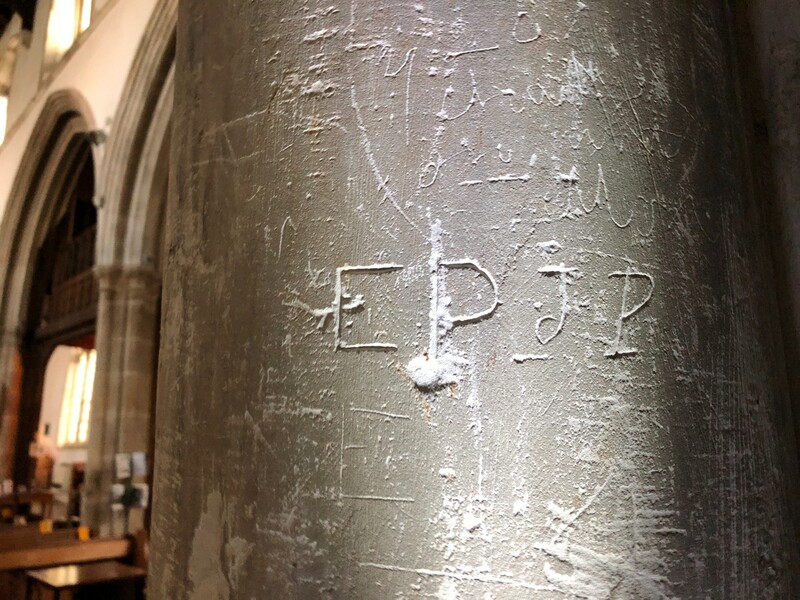 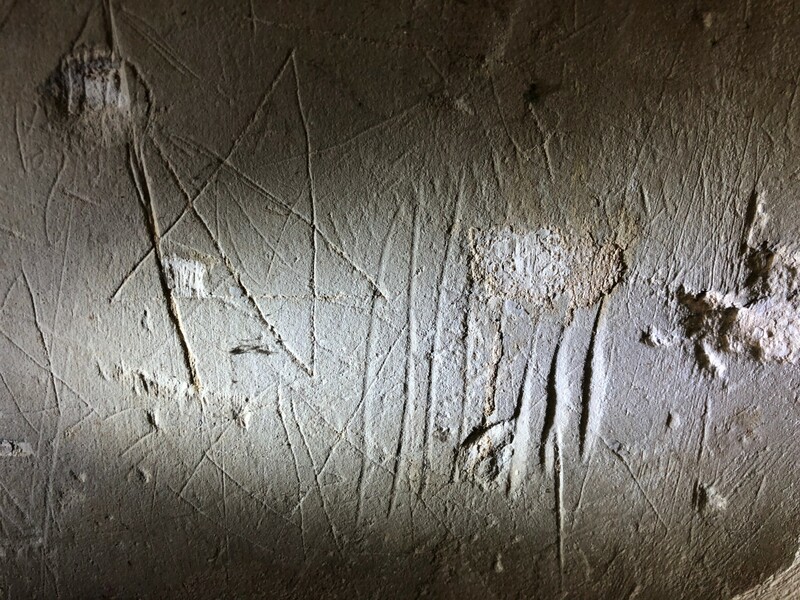 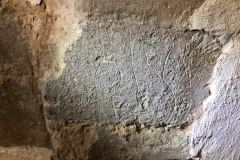 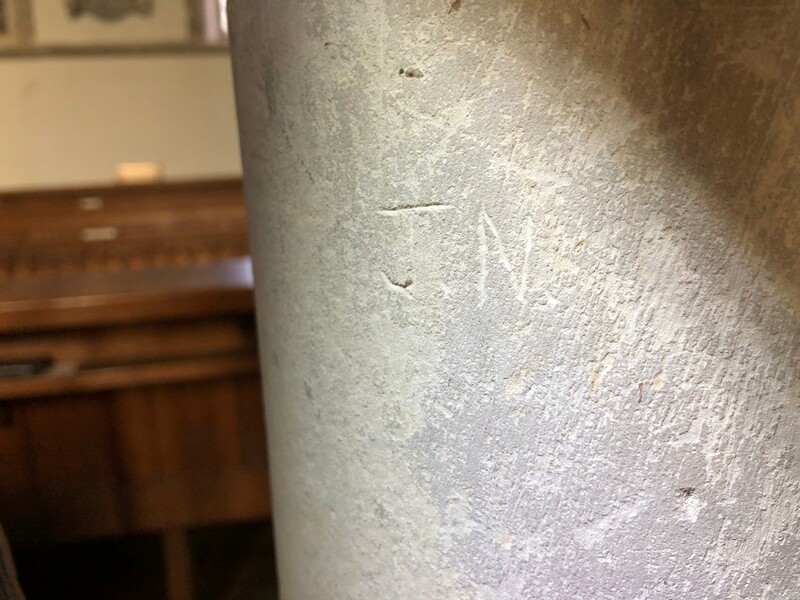 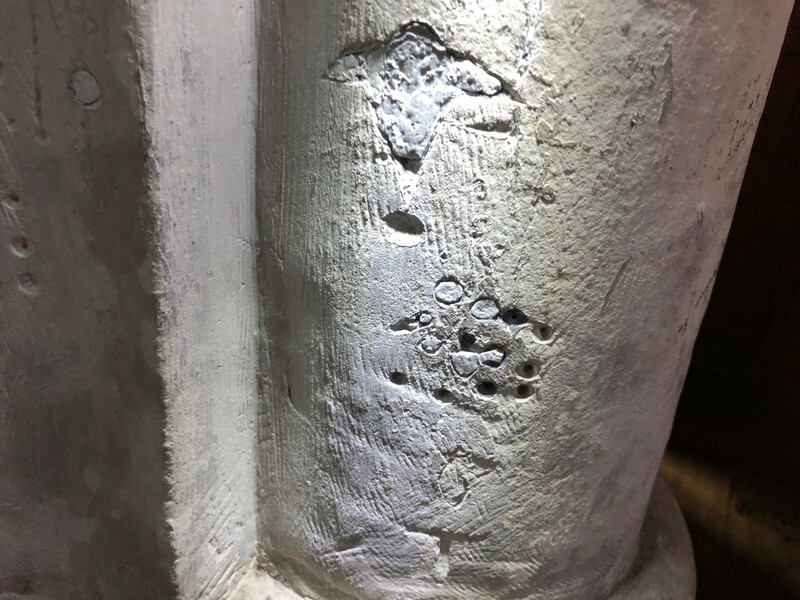 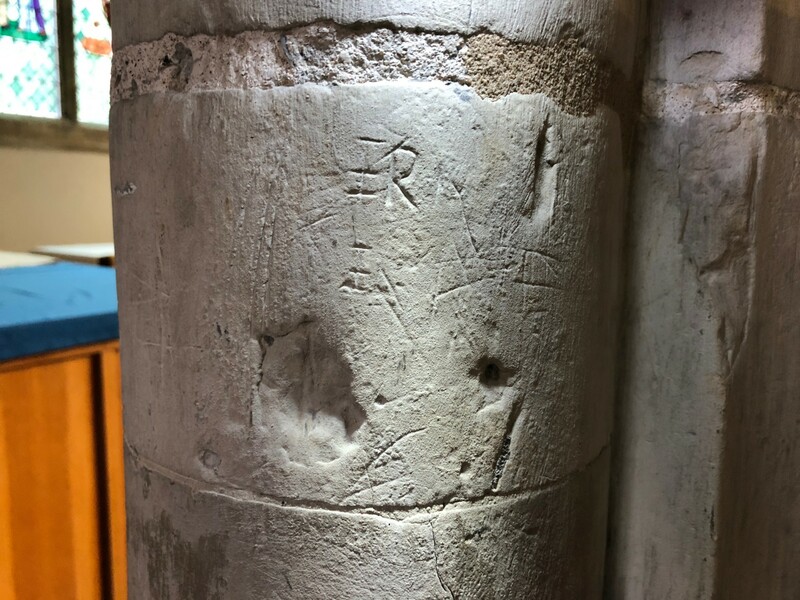 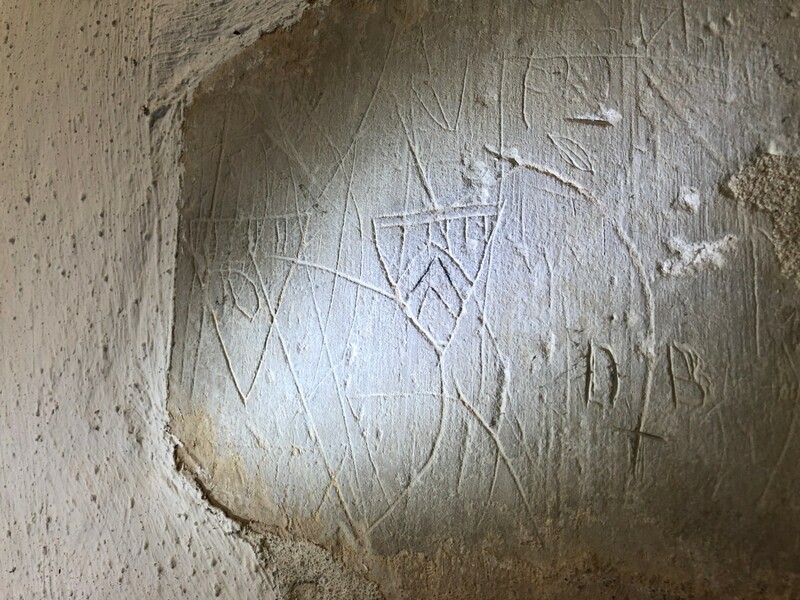 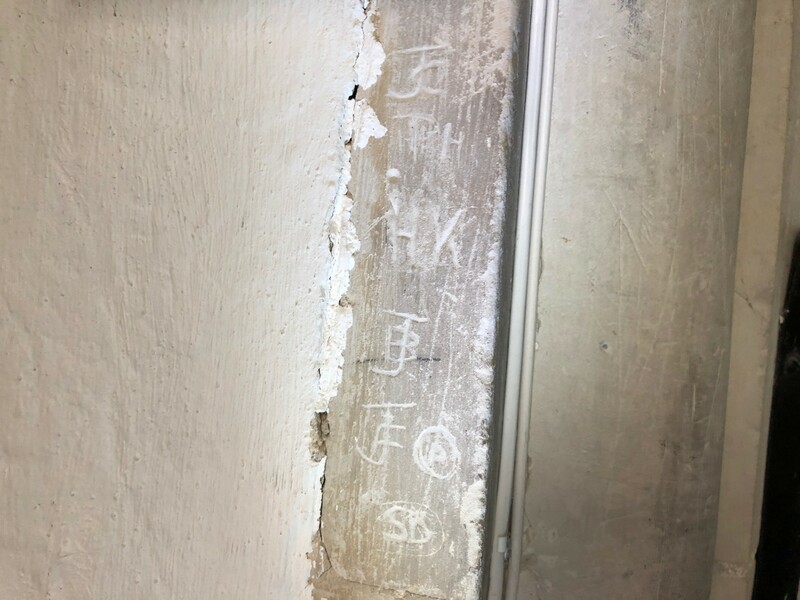 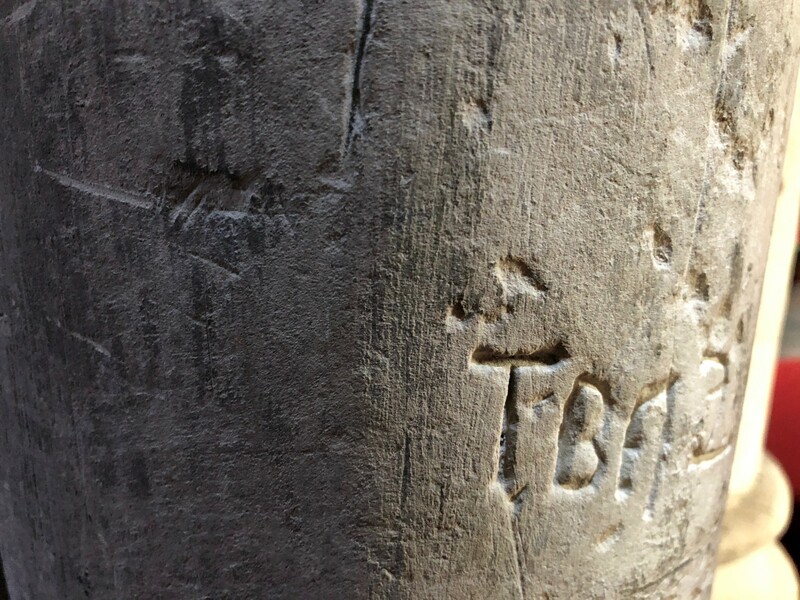 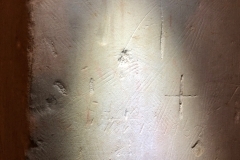 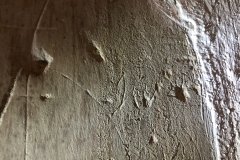 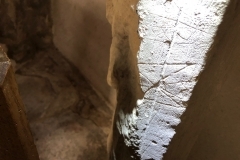 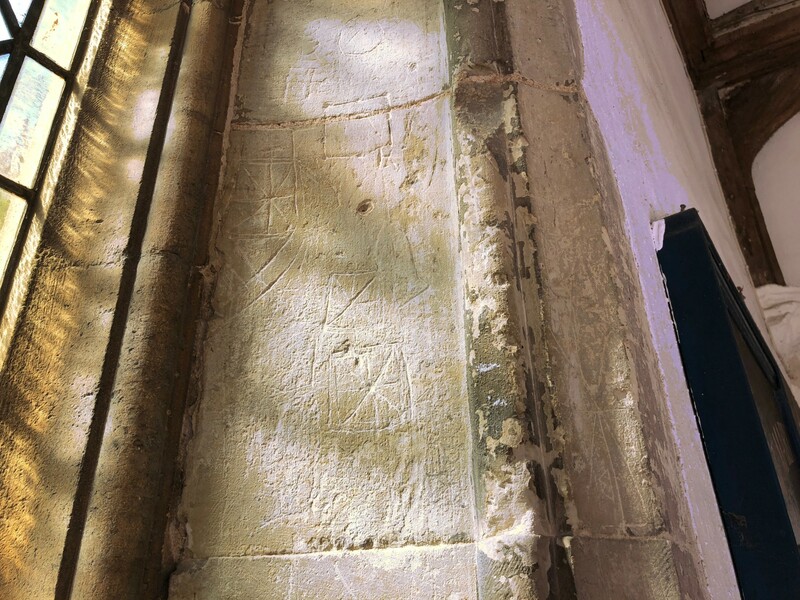 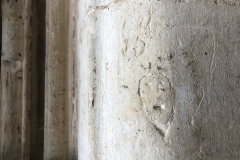 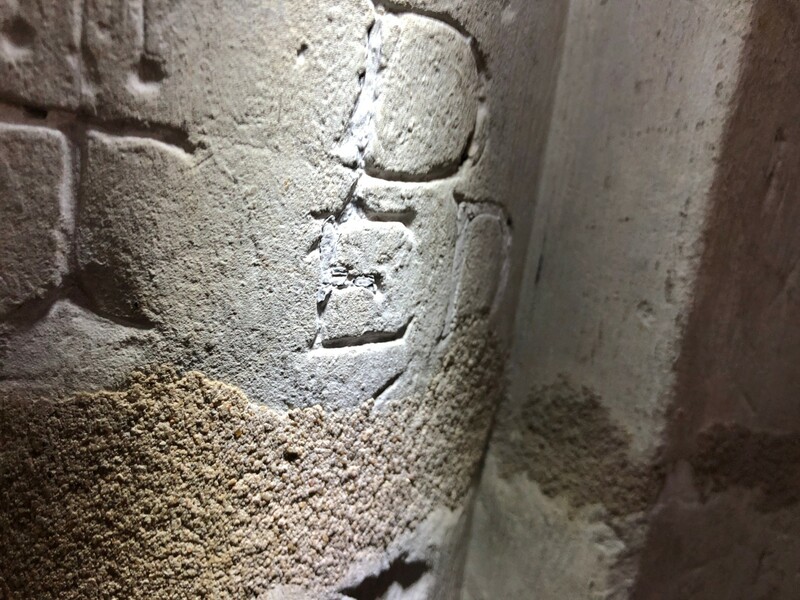 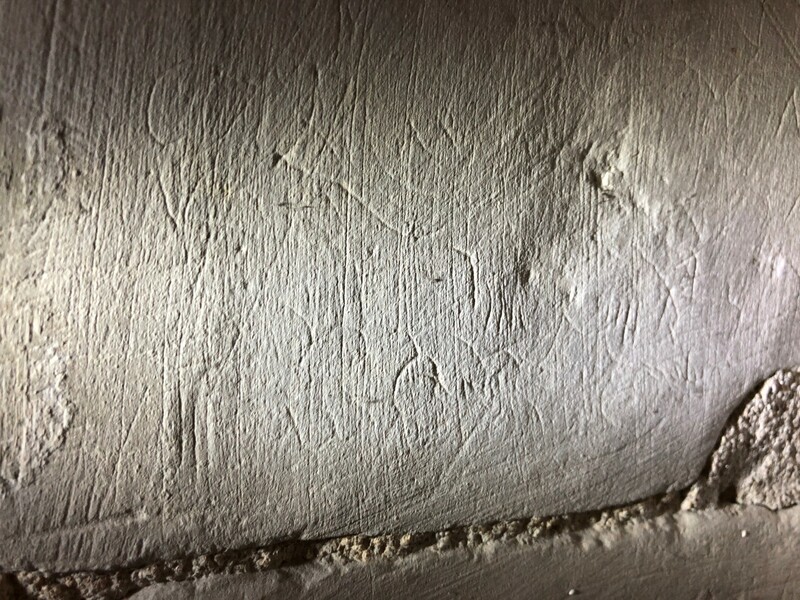 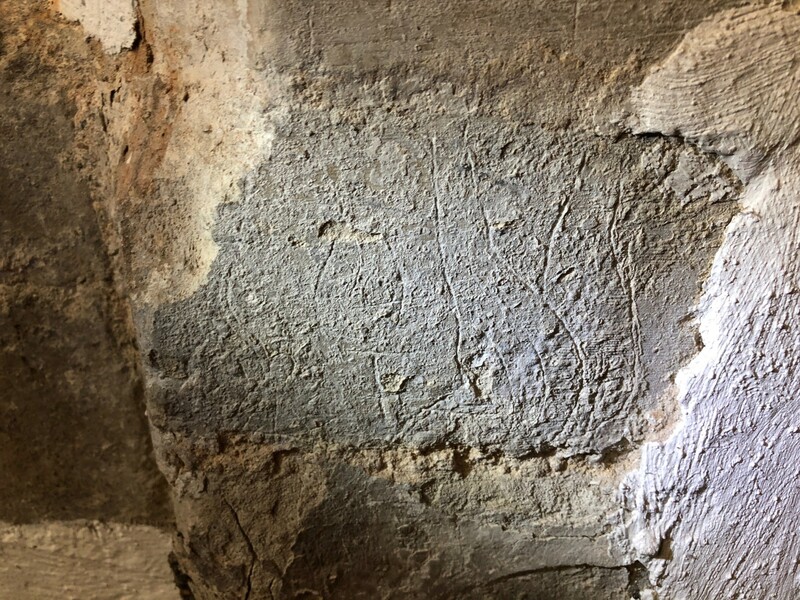 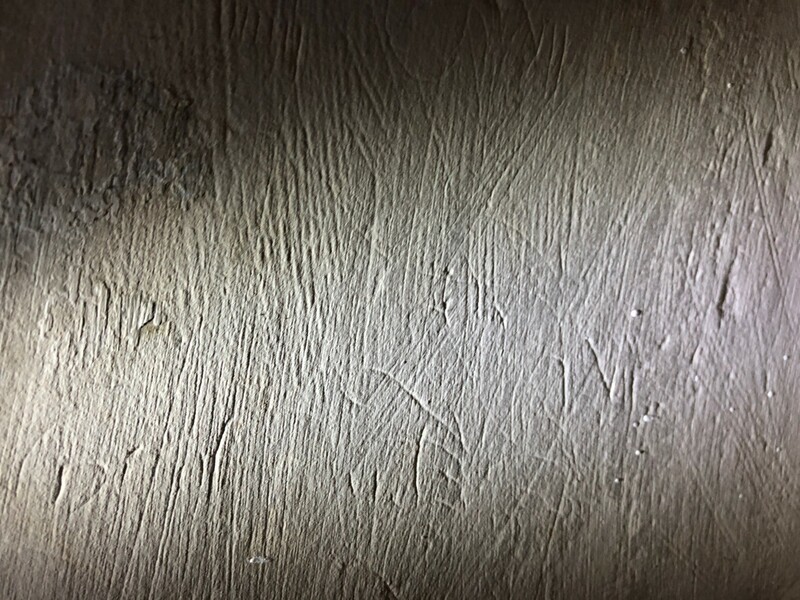 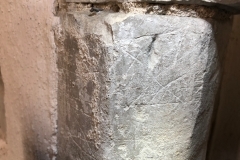 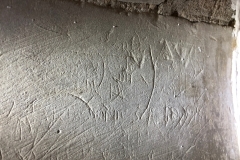 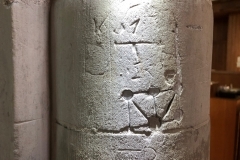 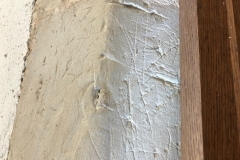 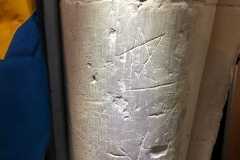 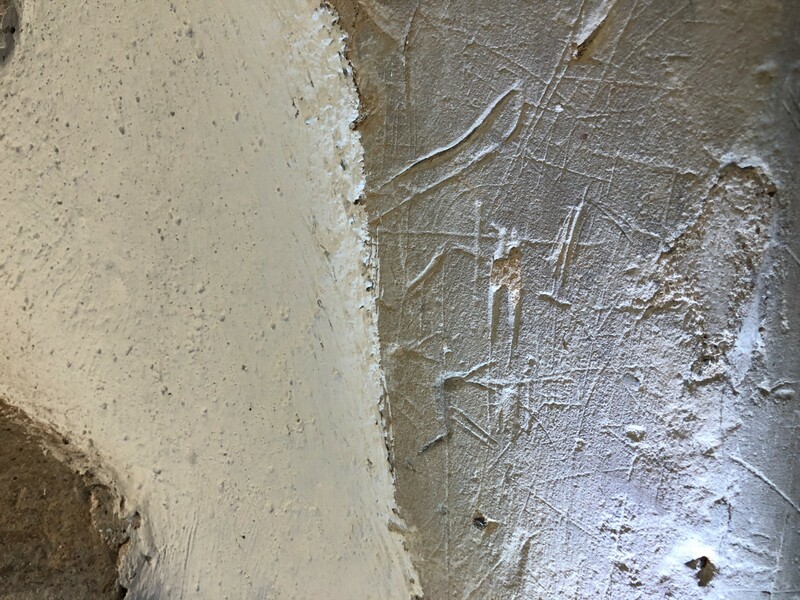 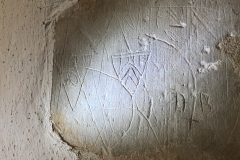 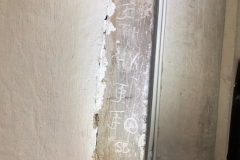 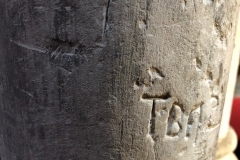 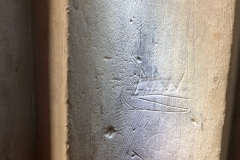 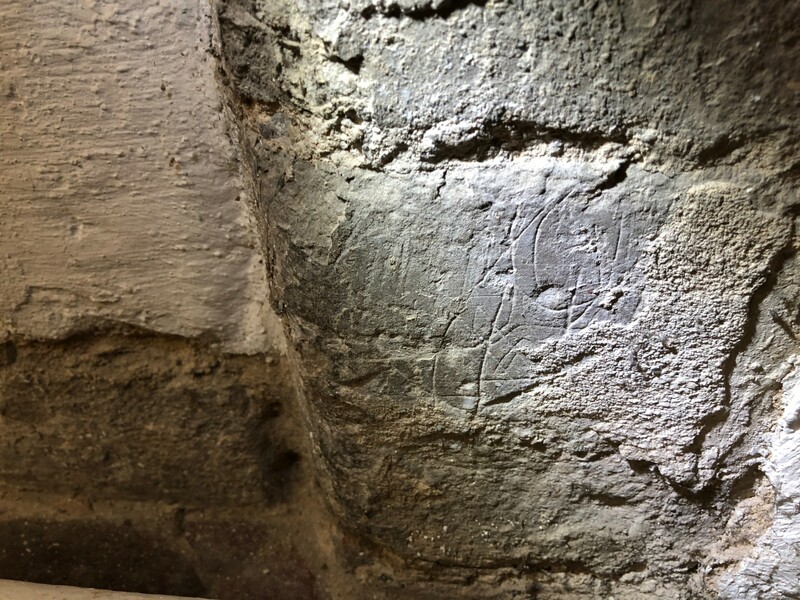 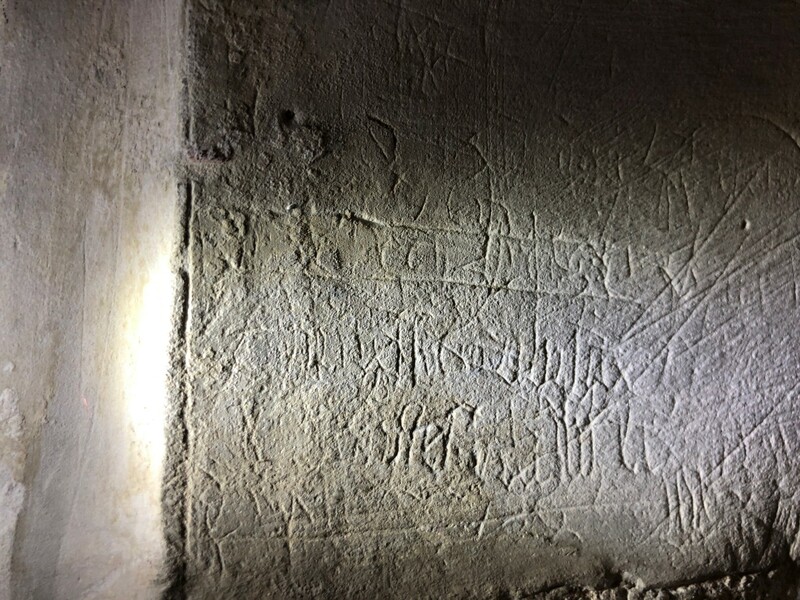 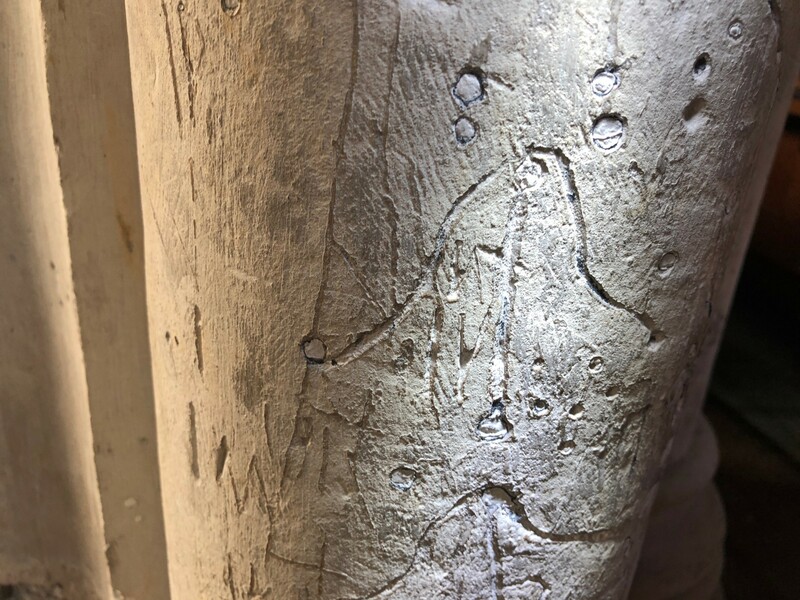 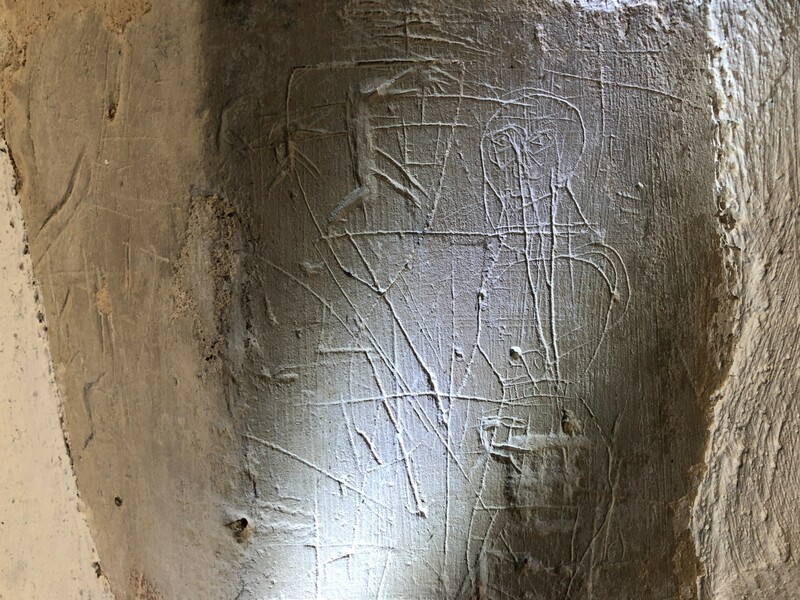 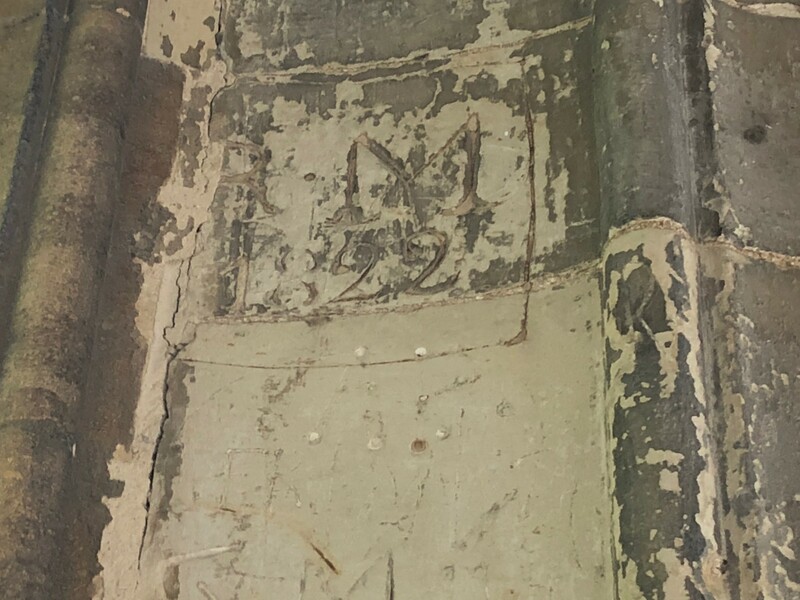 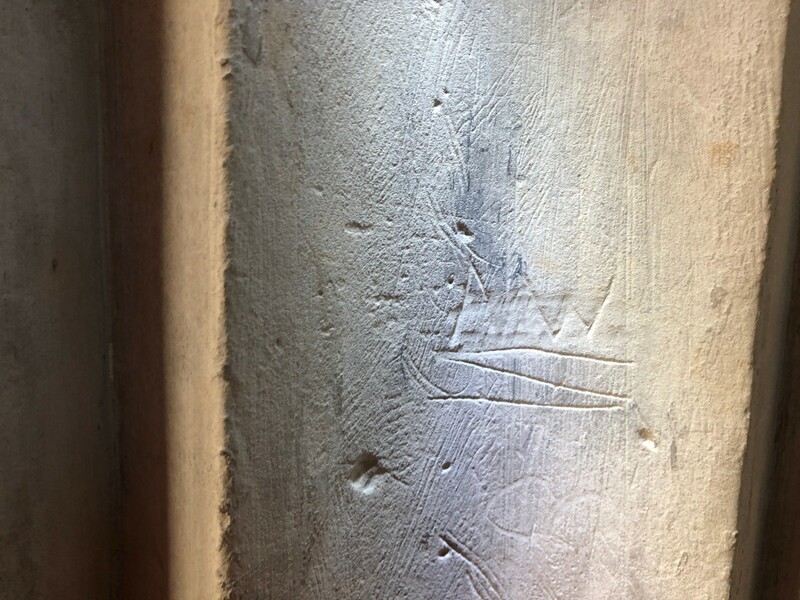 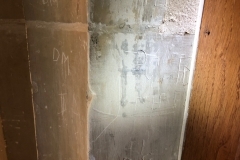 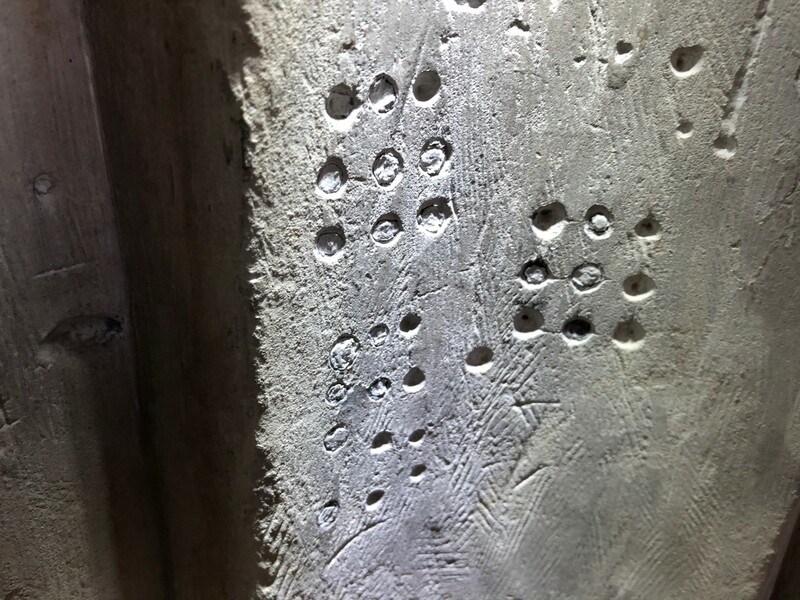 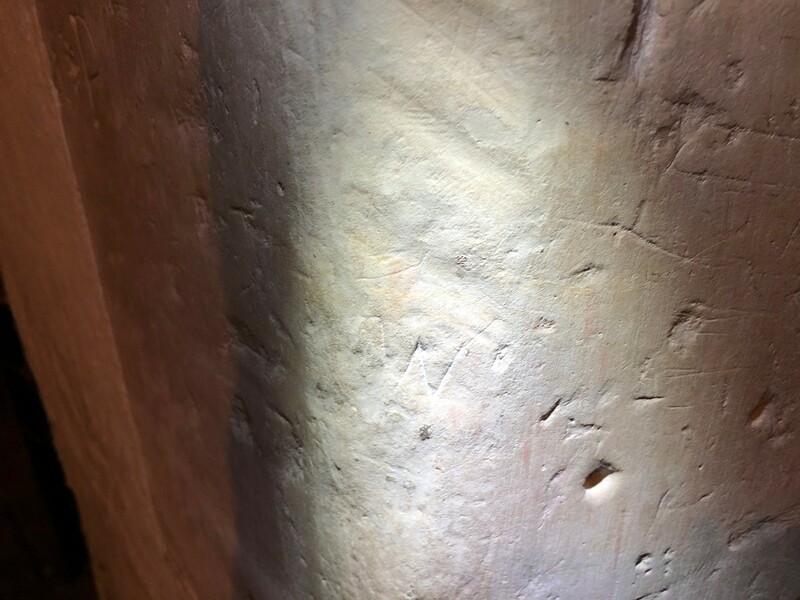 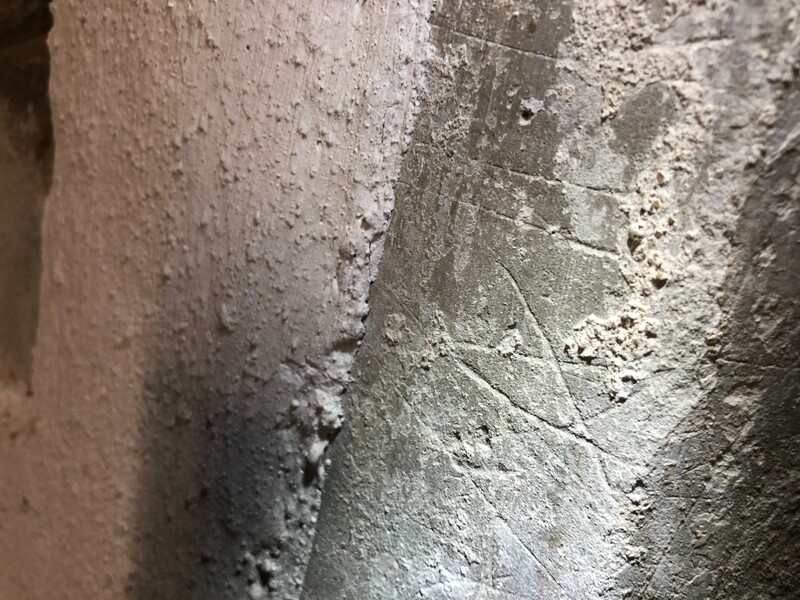 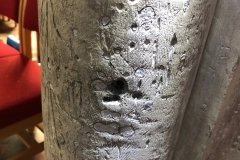 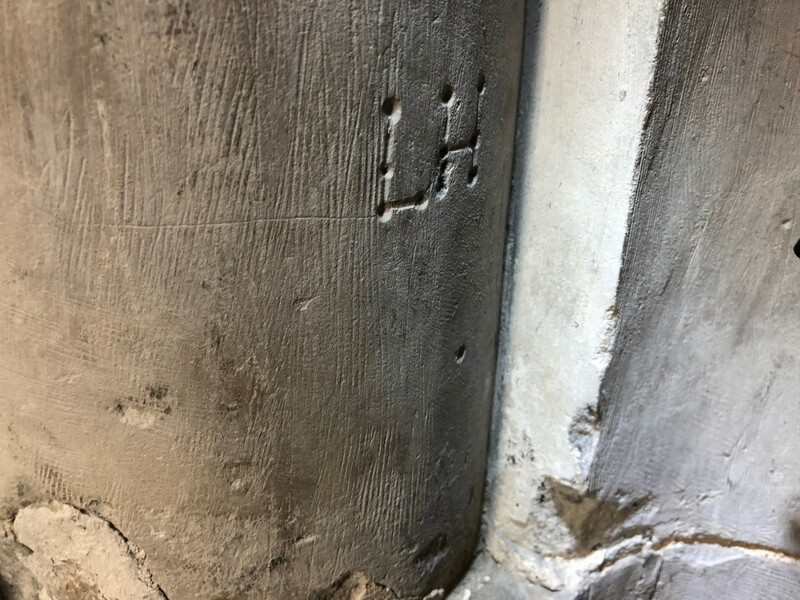 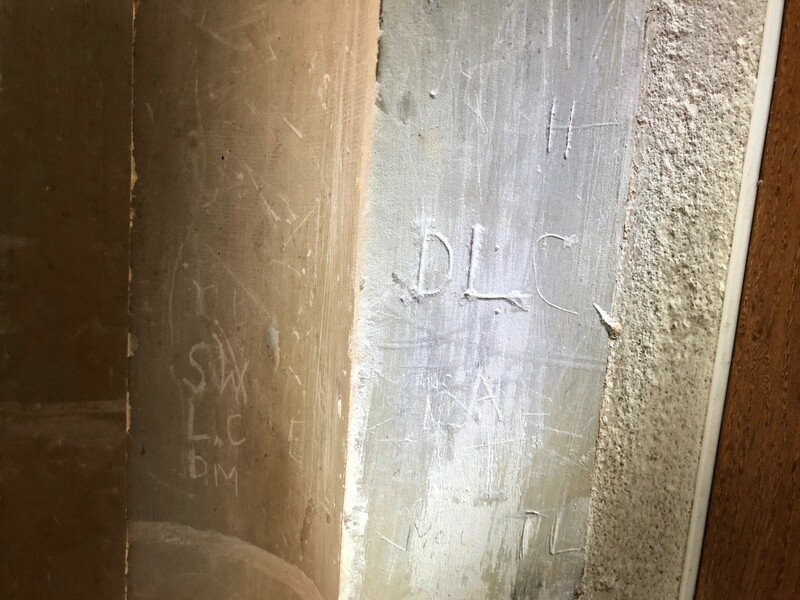 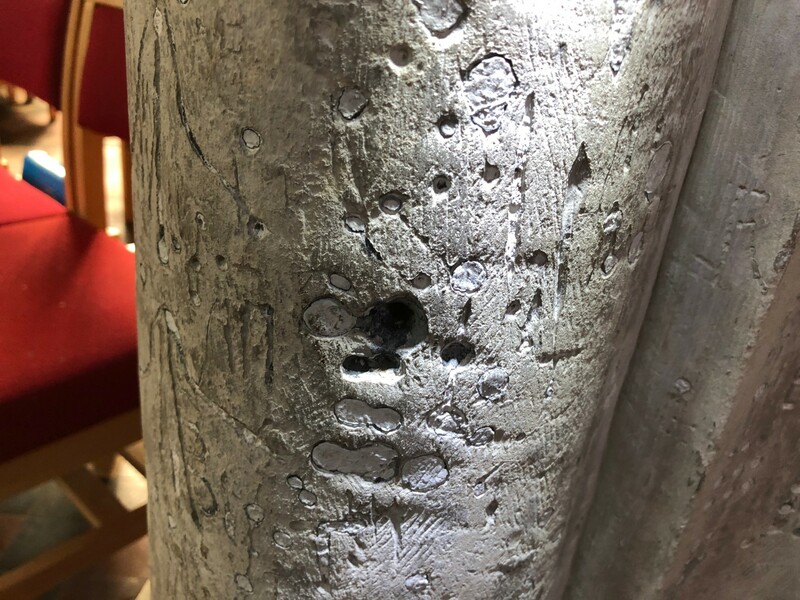 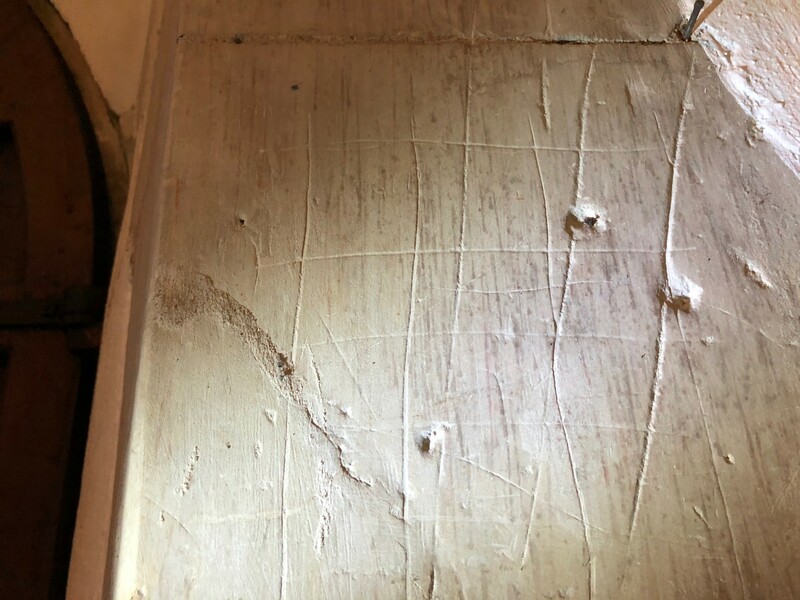 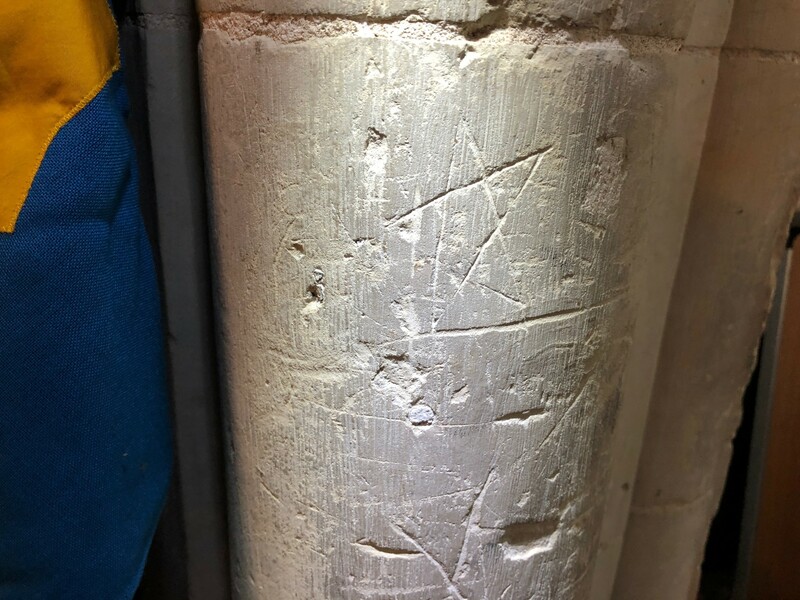 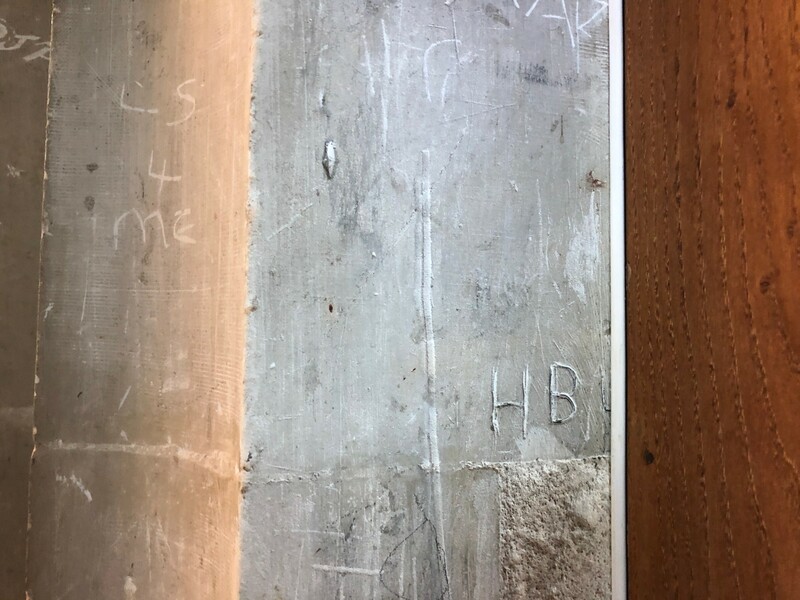 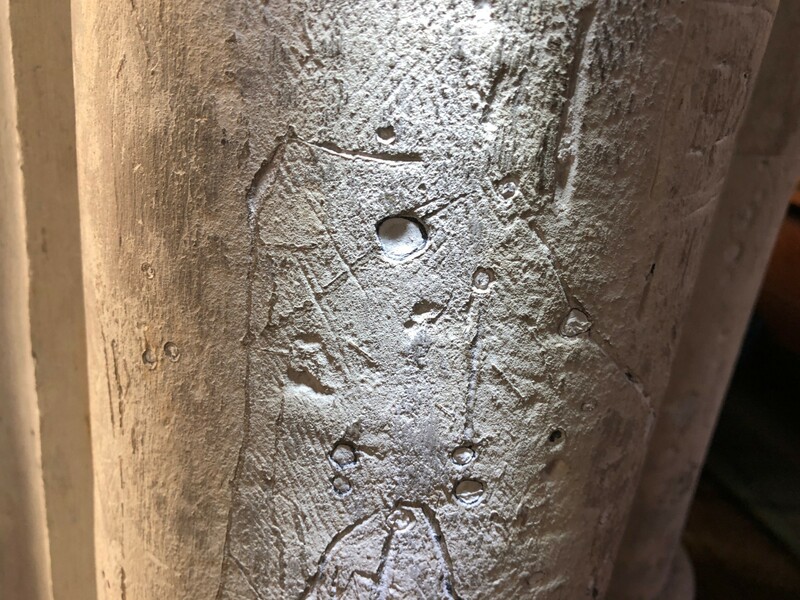 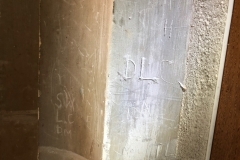 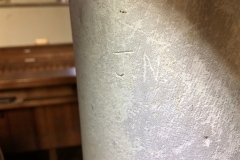 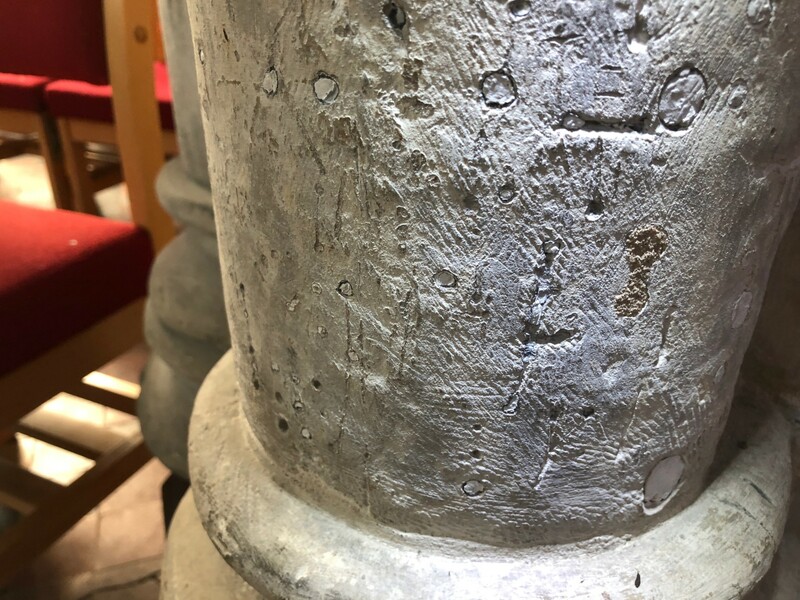 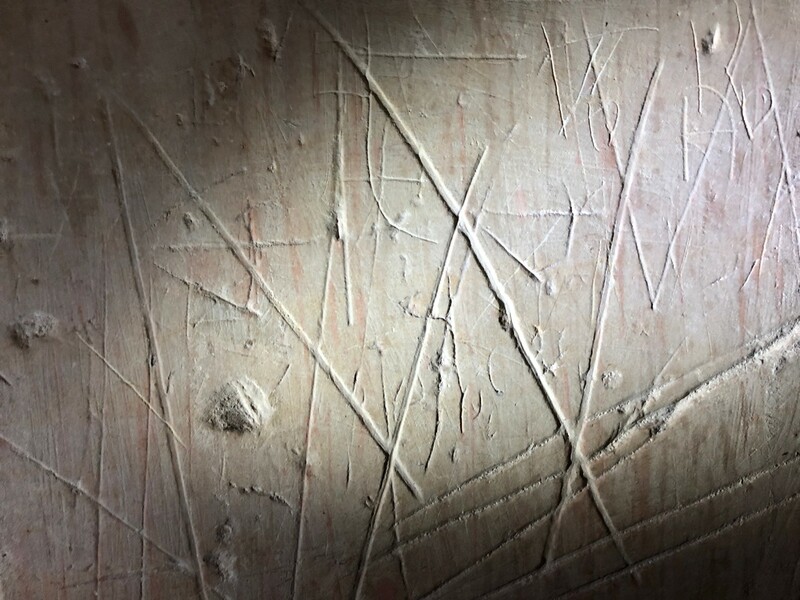 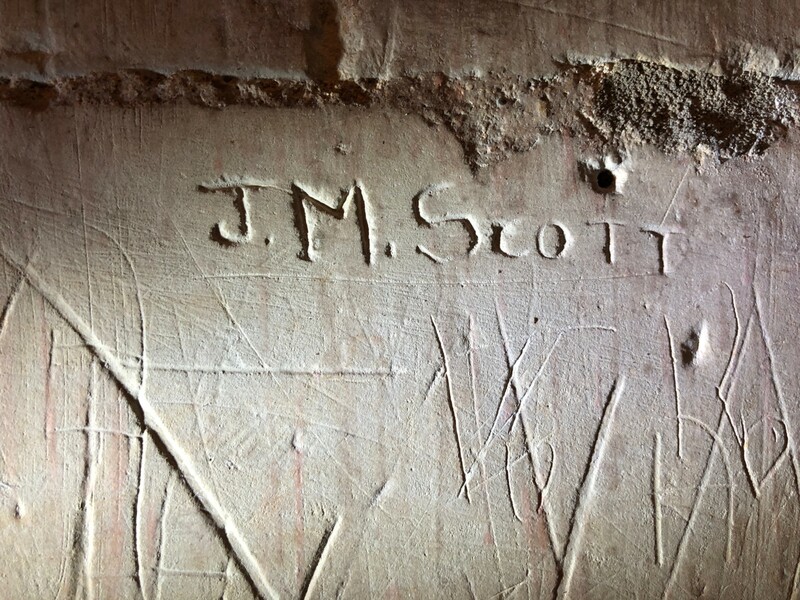 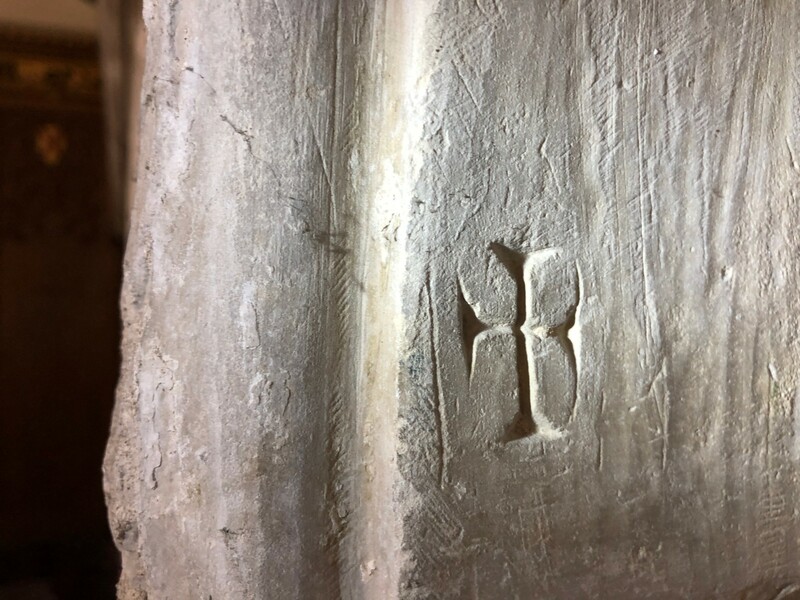 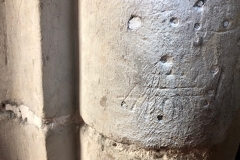 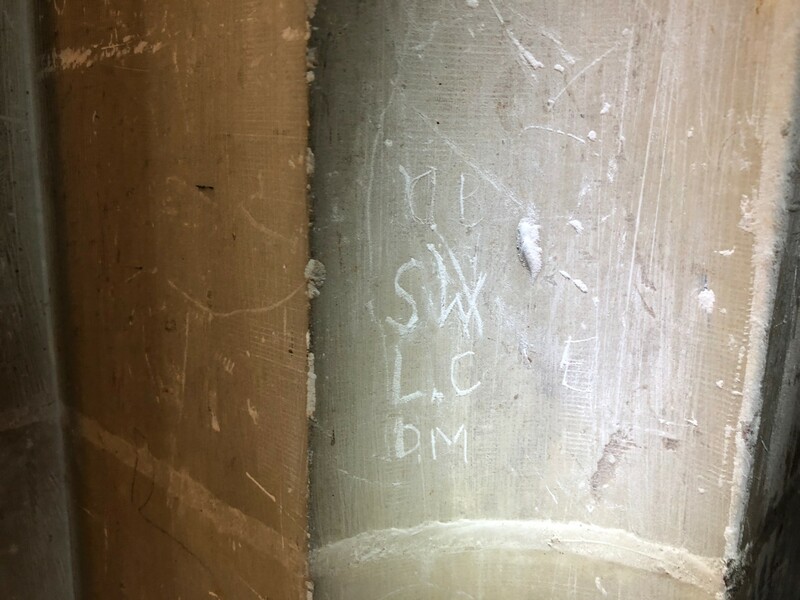 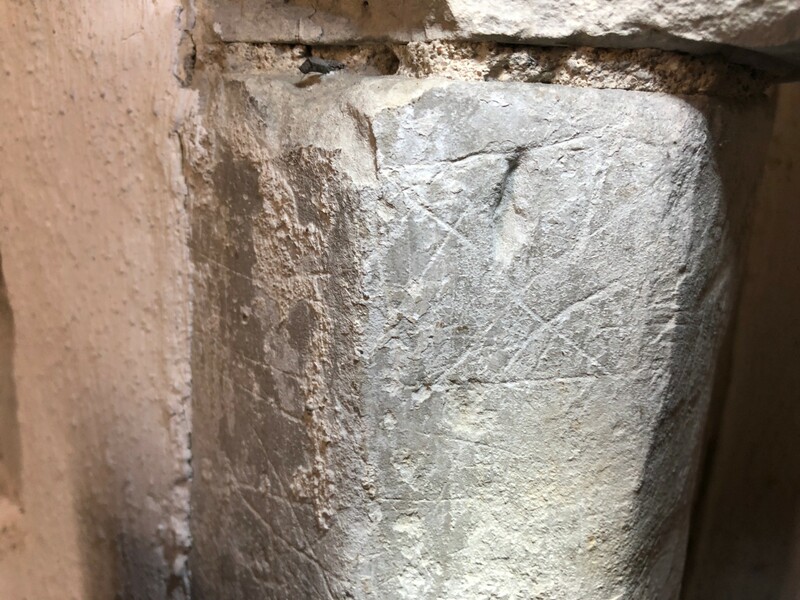 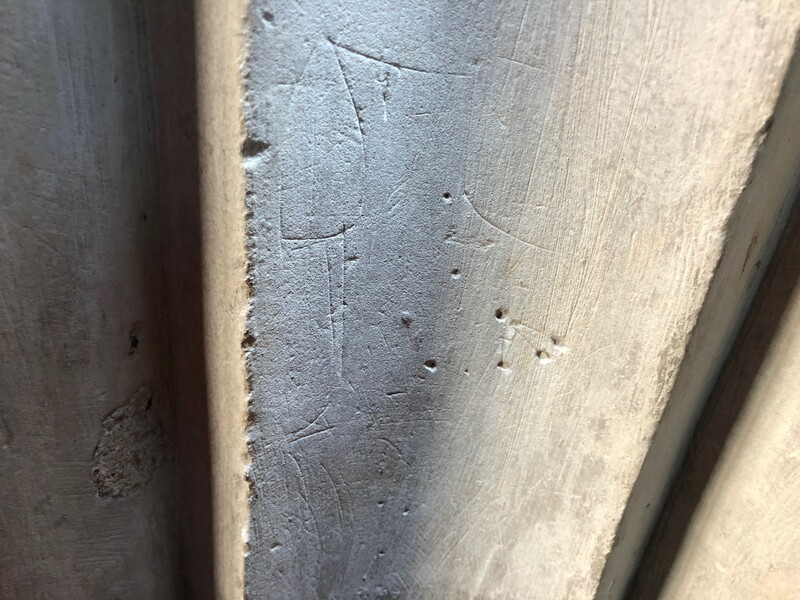 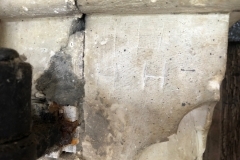 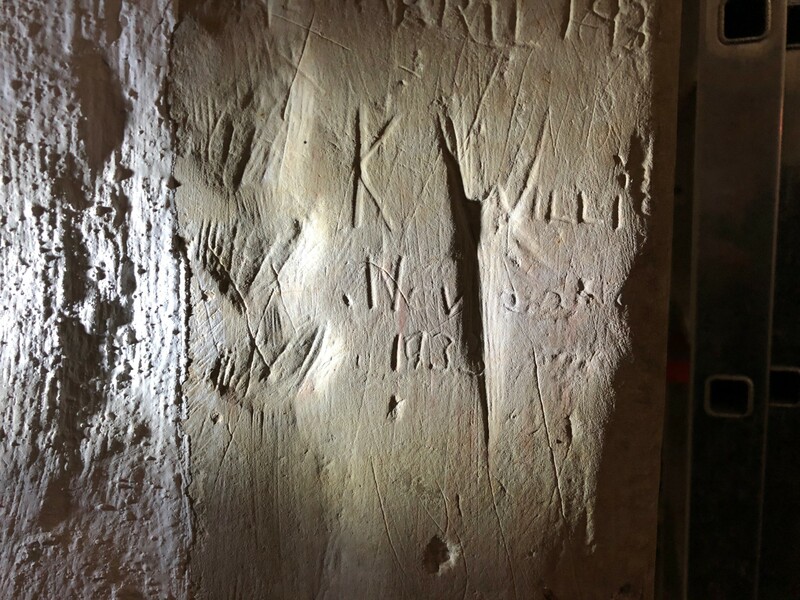 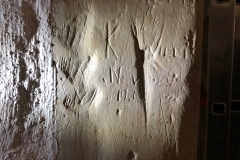 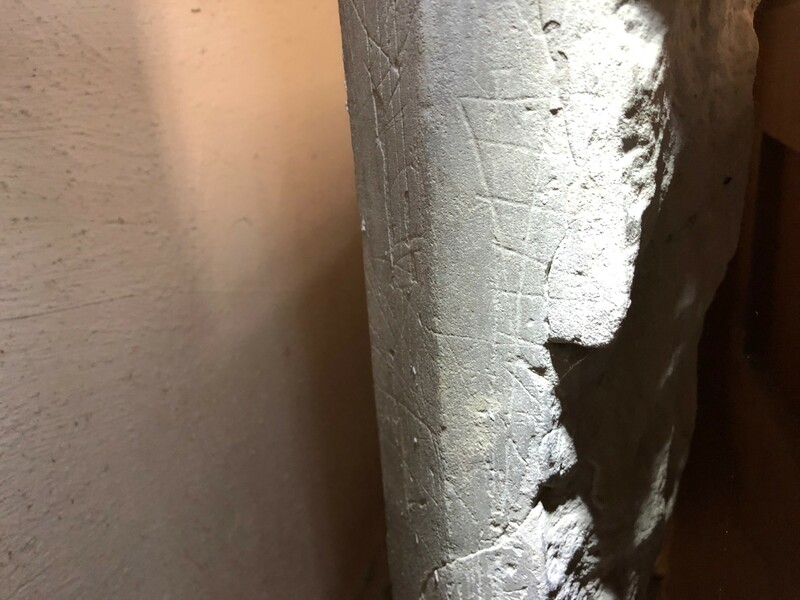 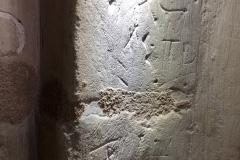 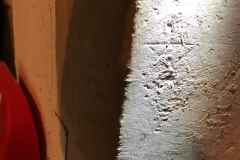 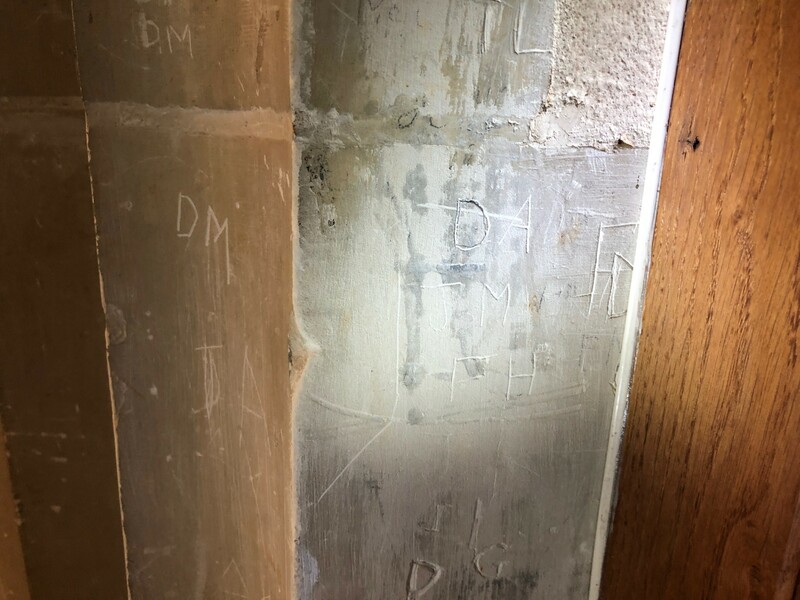 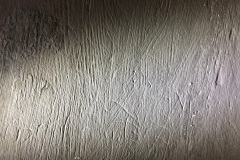 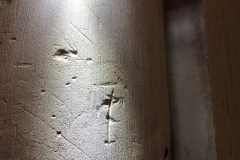 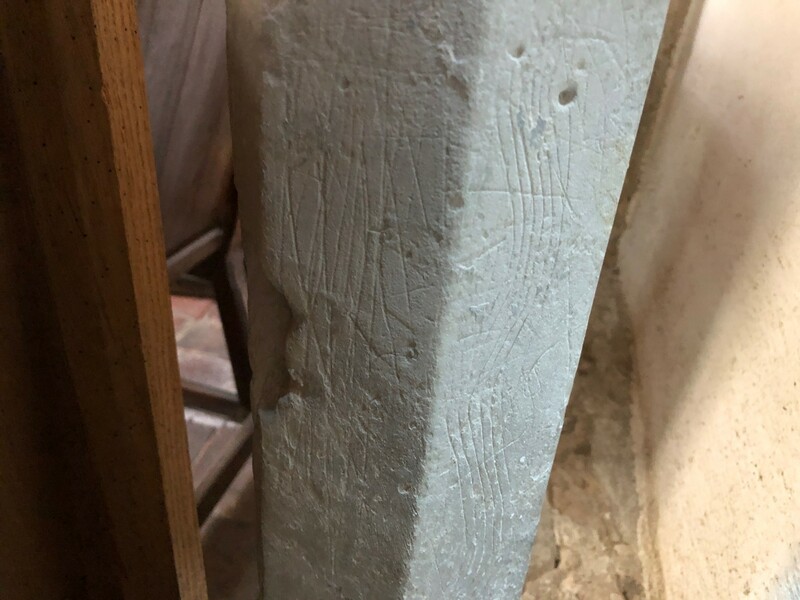 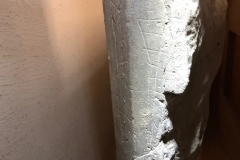 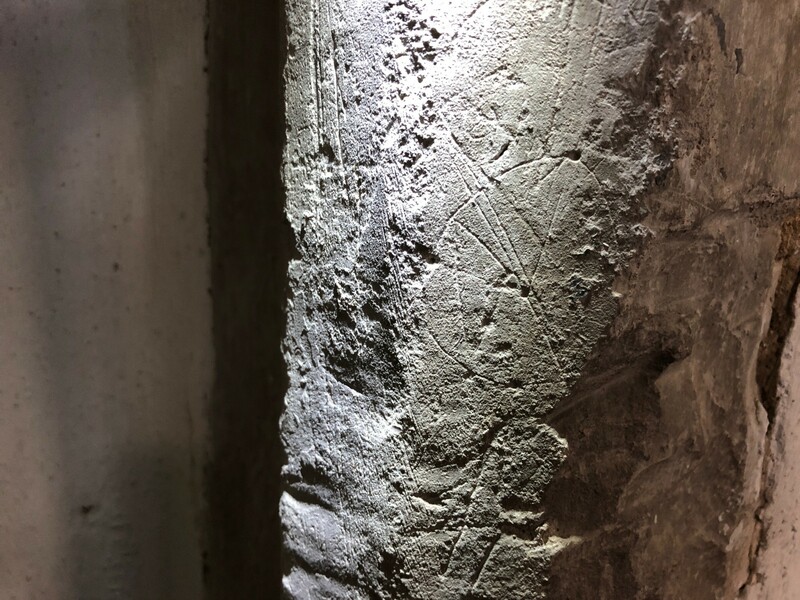 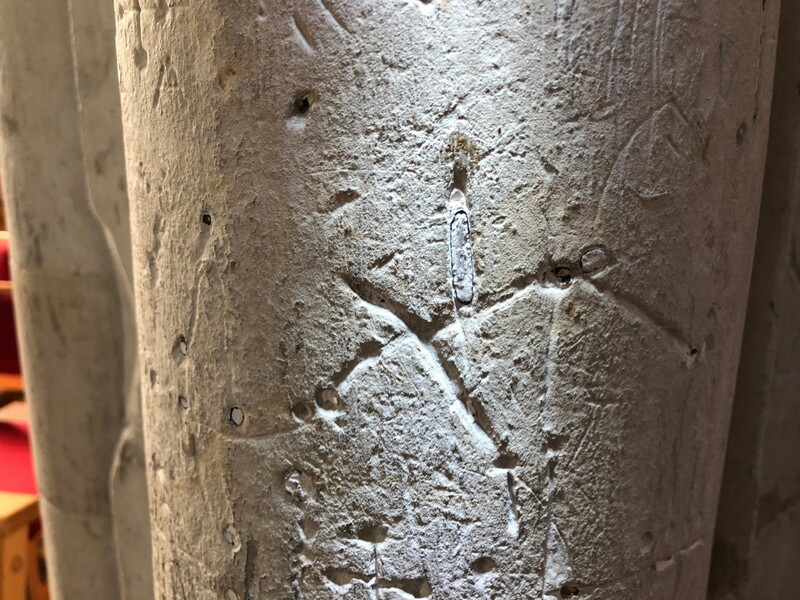 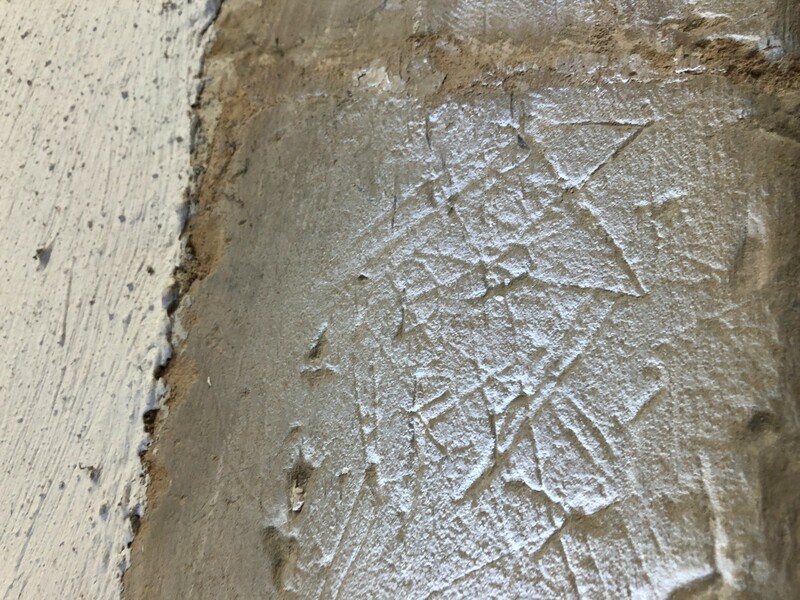 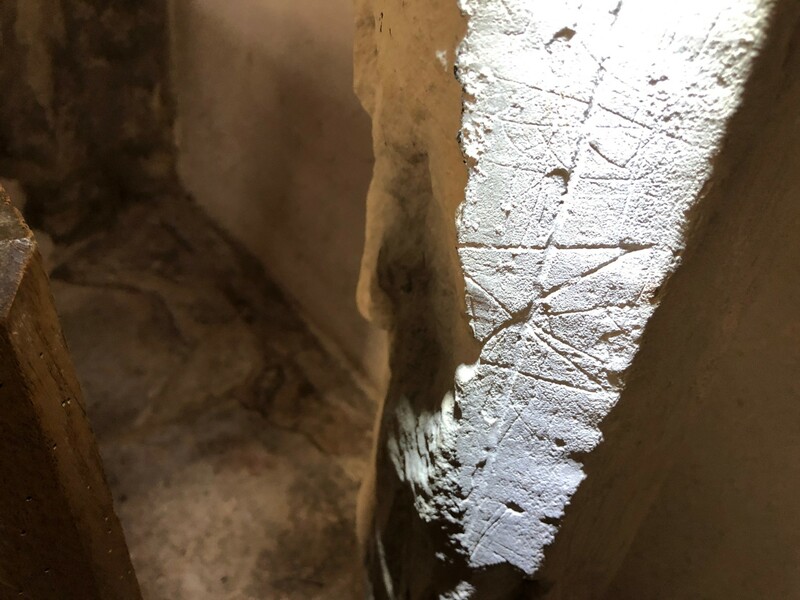 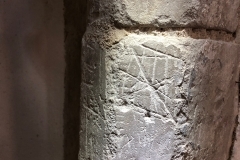 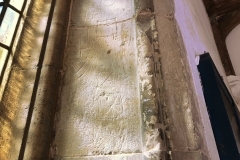 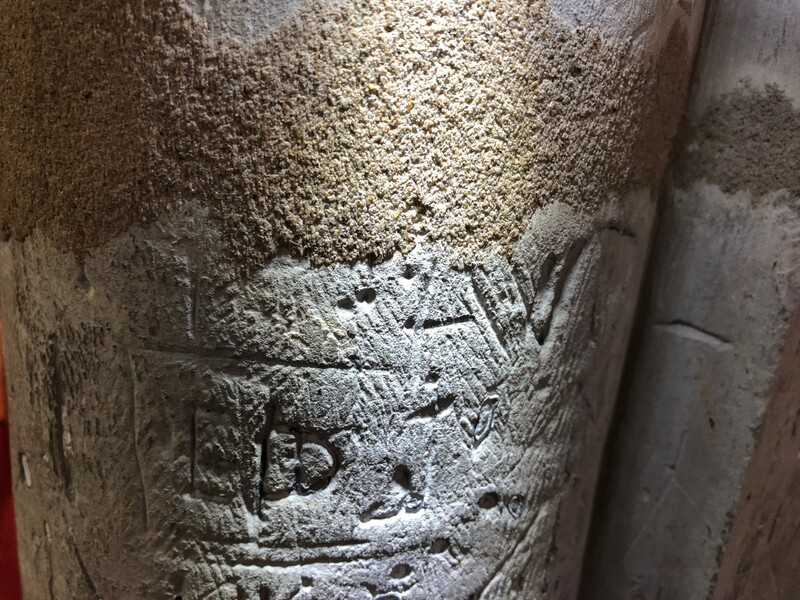 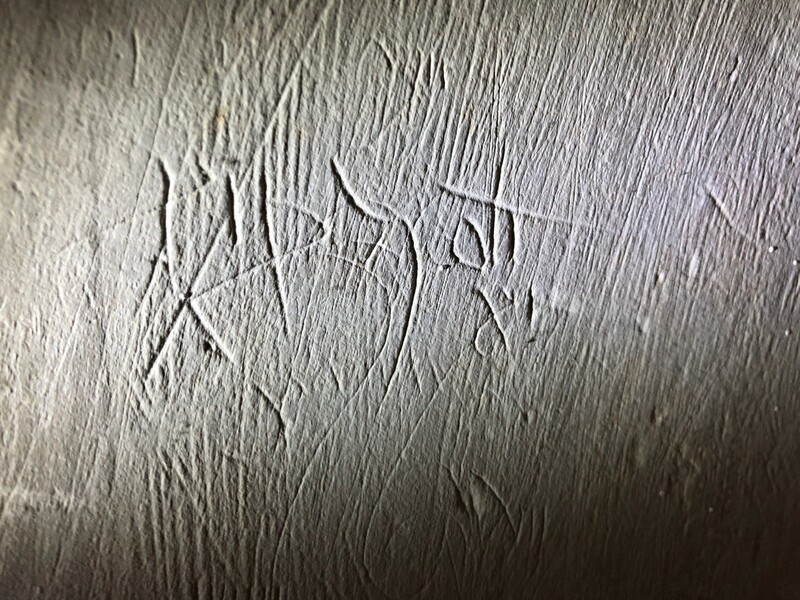 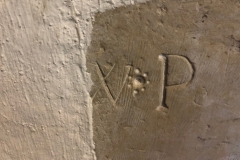 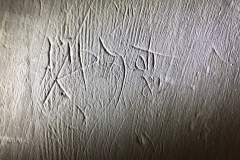 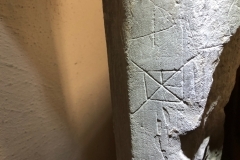 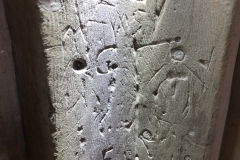 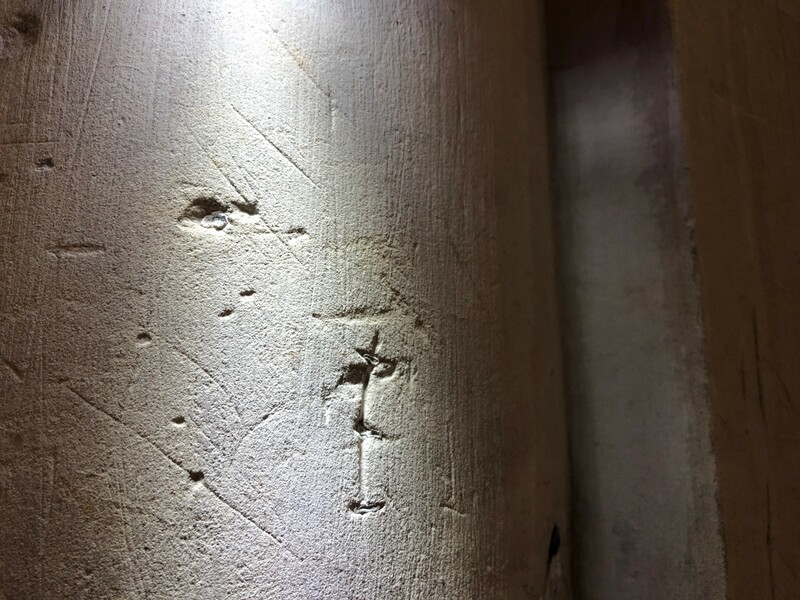 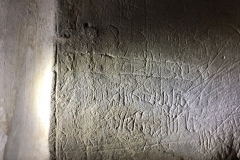 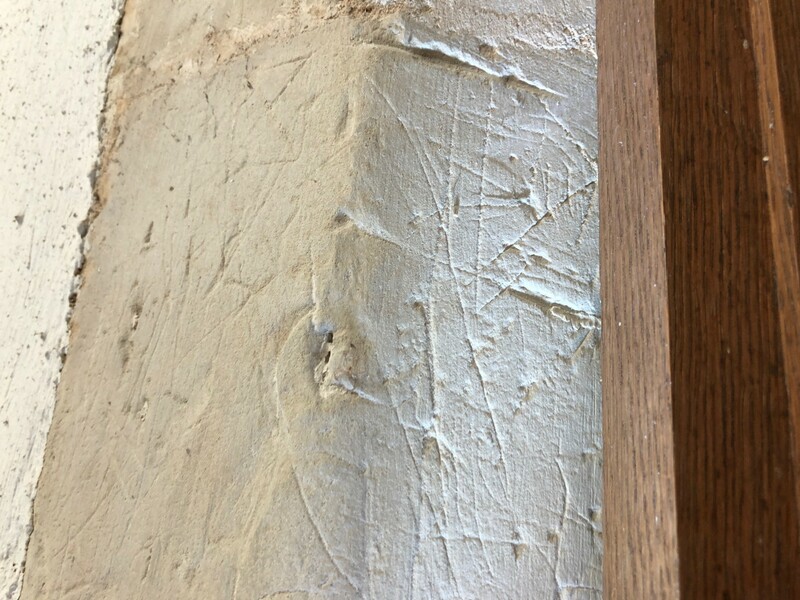 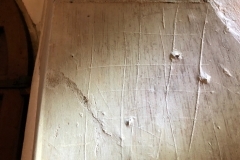 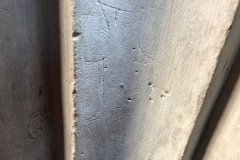 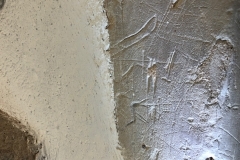 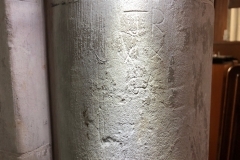 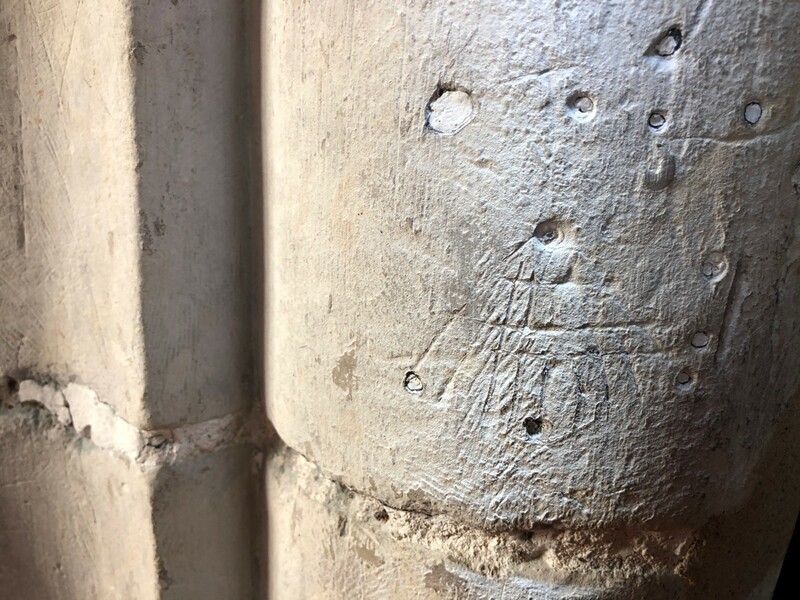 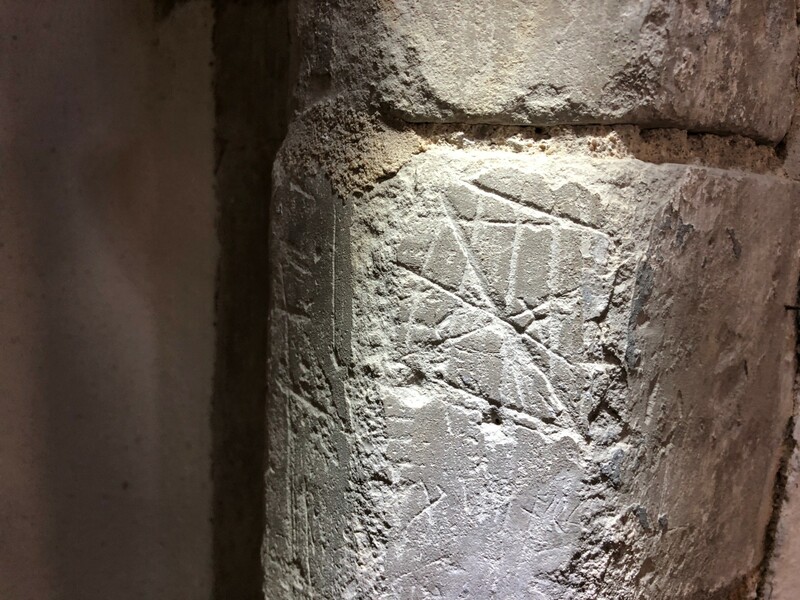 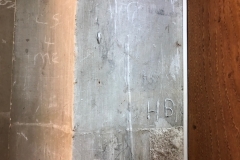 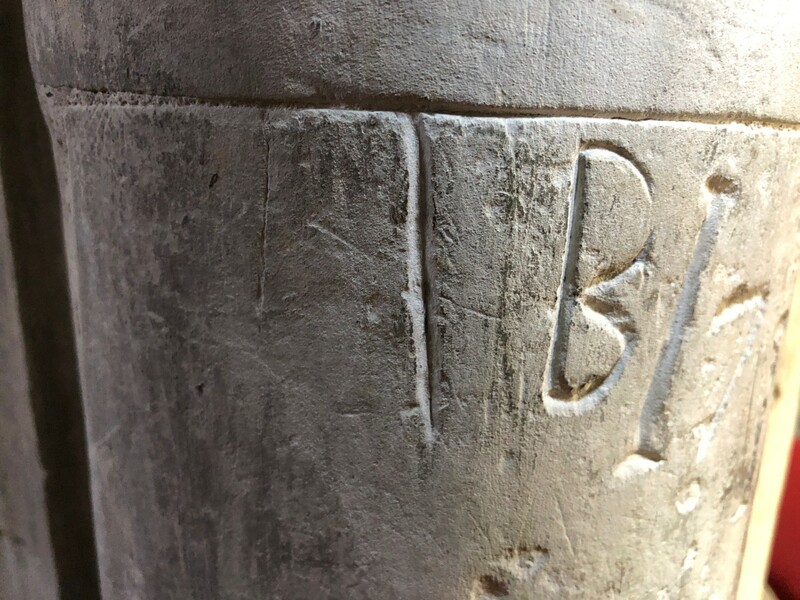 The rest of the graffiti in the church is made up of other marks, unidentified marks and names or initials. 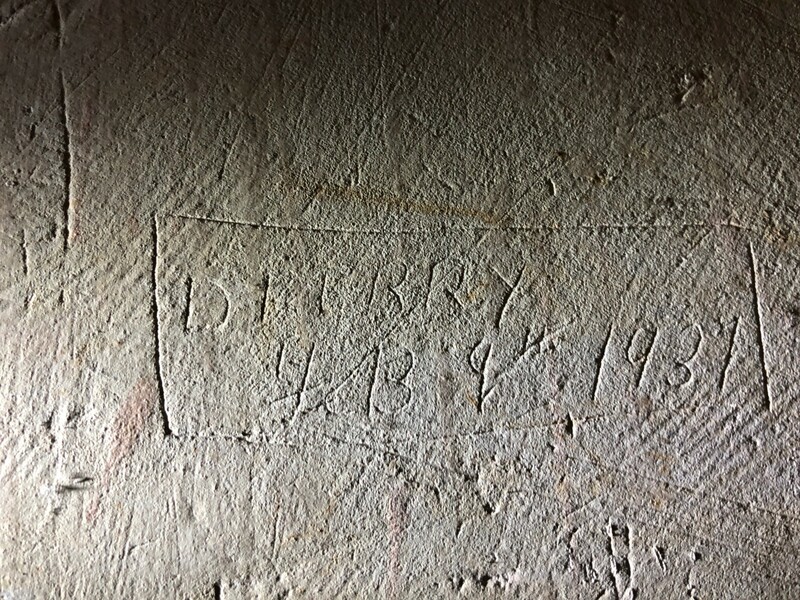 Any dates are mostly 19th and 20th century. 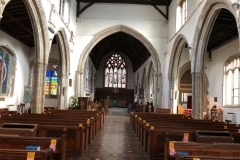 The church is open during daylight hours. 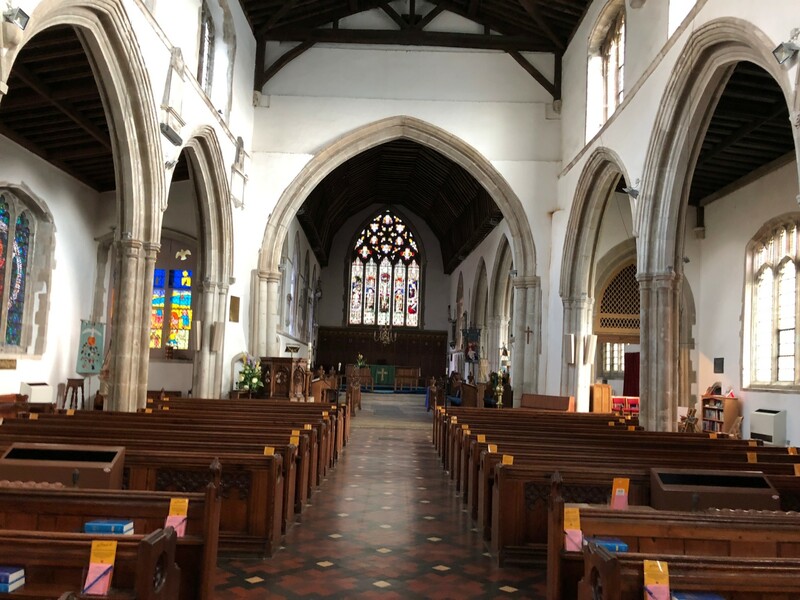 There is ample parking at the end of Church St behind St Mary’s Centre.